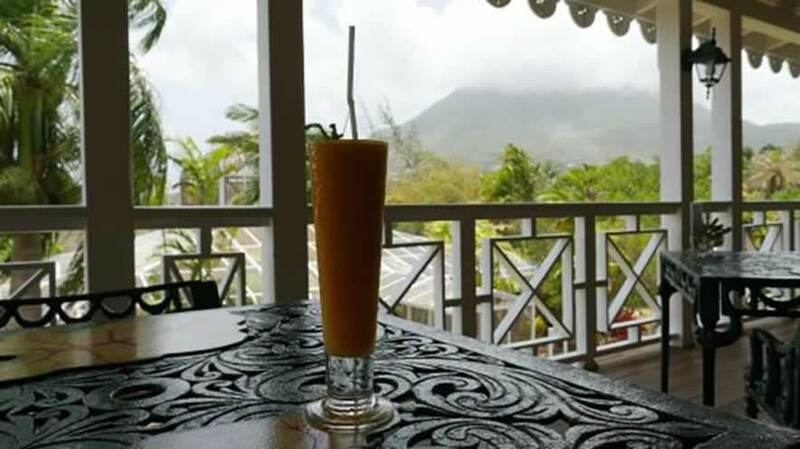 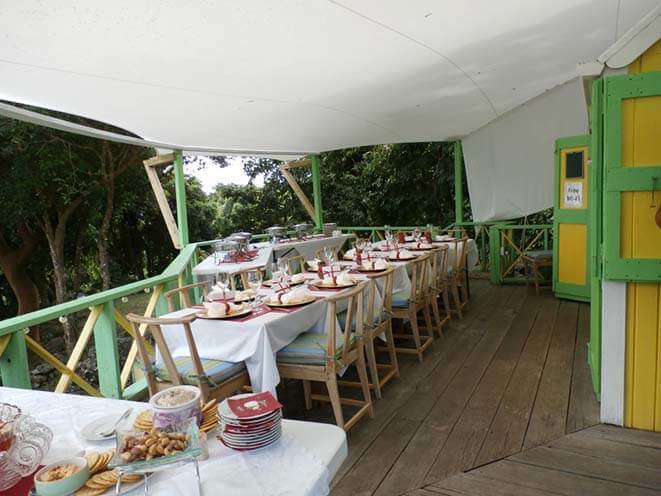 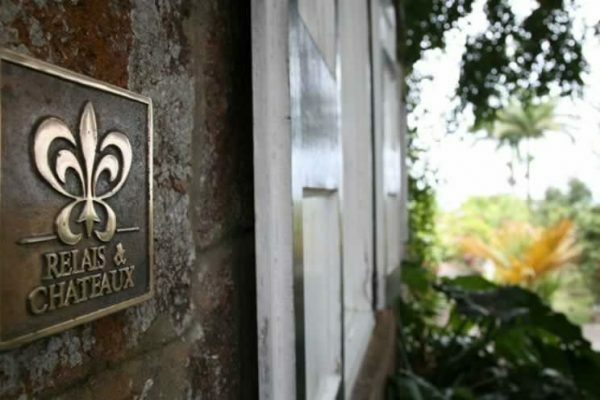 Use this interactive menu to discover everything the Caribbean island of Nevis has to offer. 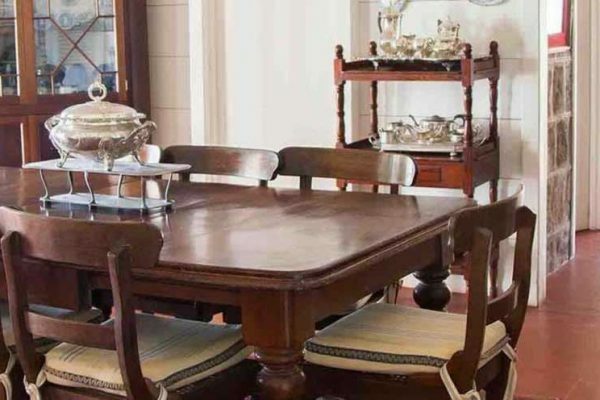 Click anything you're interested in, submit the form, and we'll reach out to handle all the details. 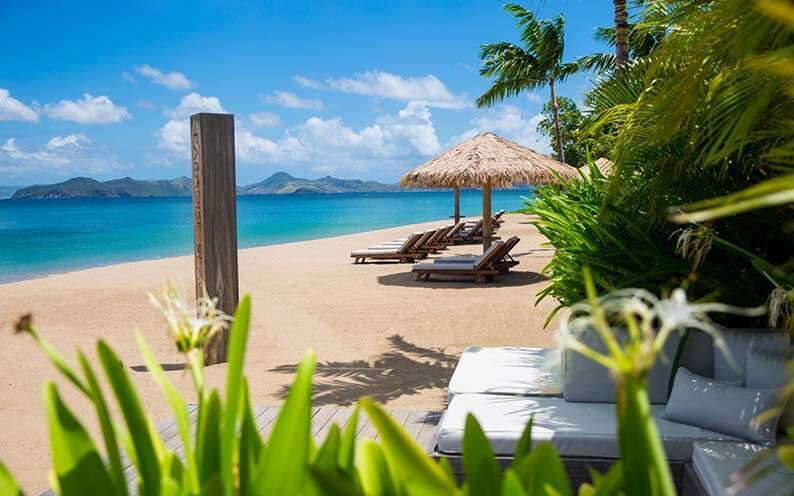 It's your vacation. 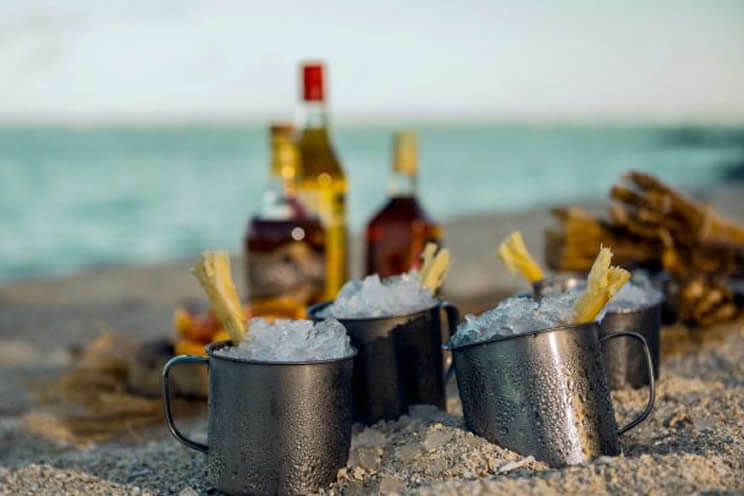 You shouldn't have to worry about a thing. 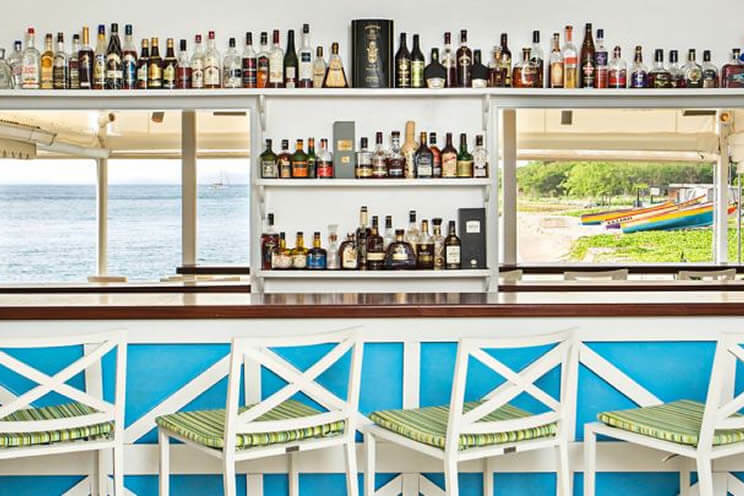 Four Seasons Resort Nevis' 101 Rums Bar is the only Caribbean bar dedicated to fine-aged rums. With more than 101 aged rums and rhum agricole to choose from, guests can savour the vibrant flavours of the Caribbean contained in a snifter. 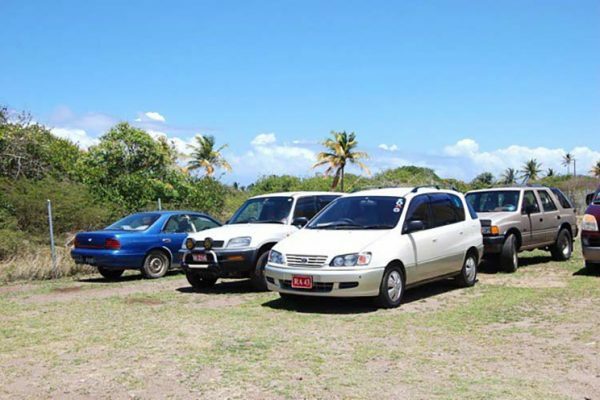 You will find at 1st Choice Car Rentals Ltd. that we offer the most courteous service and best value car hire on the Island of Nevis. 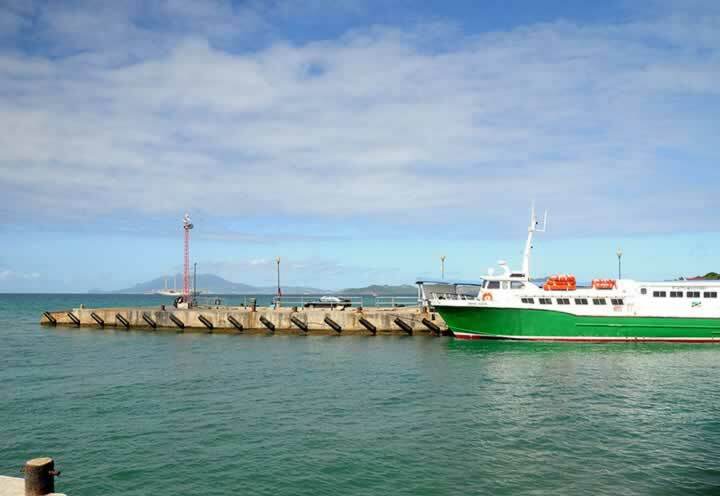 We also offer a free customer pick up service from any point of embarkation or disembarkation. 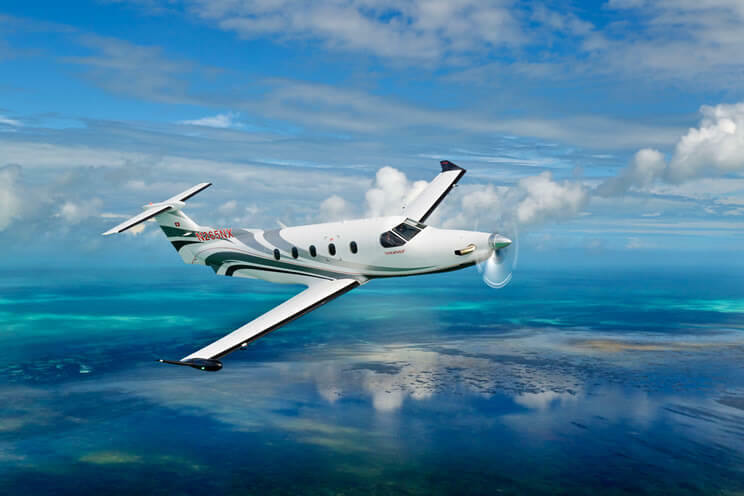 Air Sunshine offers personalized private charters to just about anywhere and anytime. 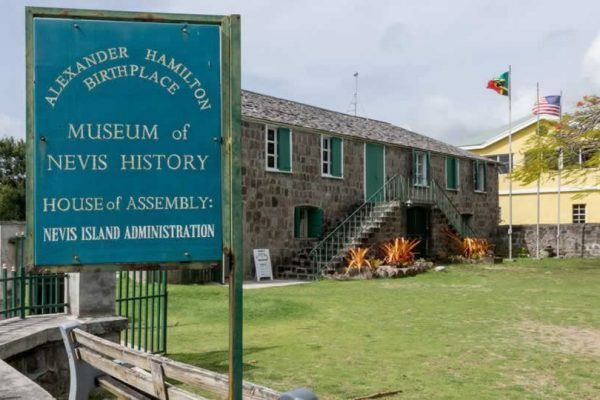 This two-story Georgian style building was the birthplace of Alexander Hamilton in 1757. Fly to more than 30 cities (with almost 550 flights a week) throughout the Caribbean. 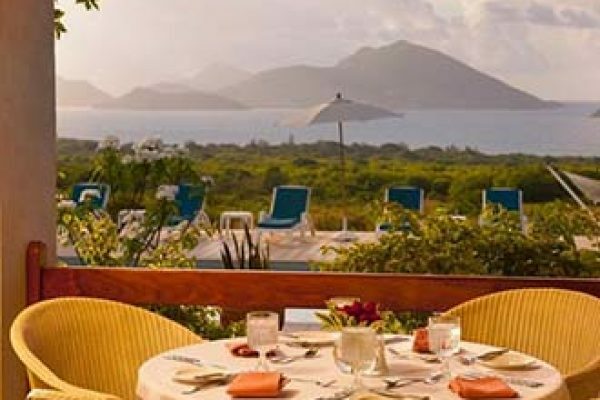 From July 14-17, 2017, guests have the opportunity to join Four Seasons and the Sea Turtle Conservancy team members to help look for nesting Sea Turtles along the shores of Nevis. 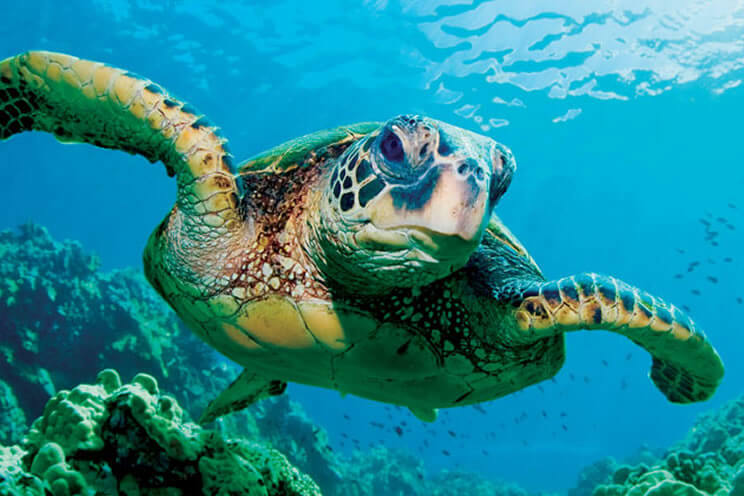 Once a sea turtle is found and finishes nesting, the volunteer group will bring the turtle back to the Resort, where it will be fitted with a satellite transmitter and released into the sea the following morning. 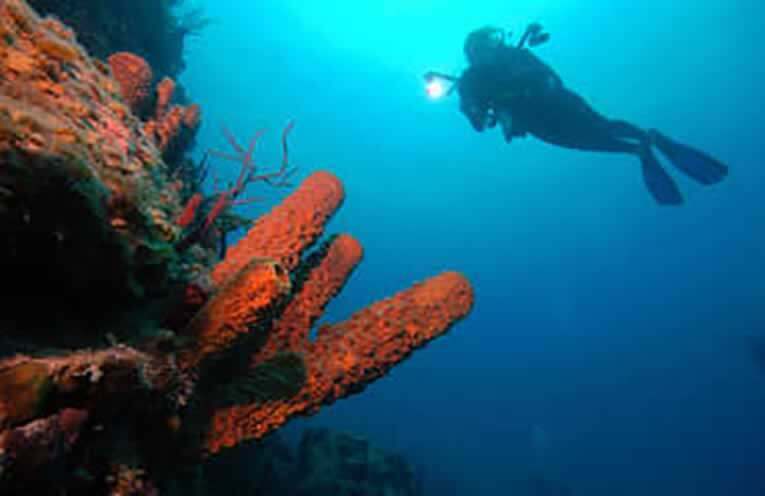 The Aquatic Recreation Centre Ltd Nevis certifies scuba diver, give swimming lesson and teaches sailing. 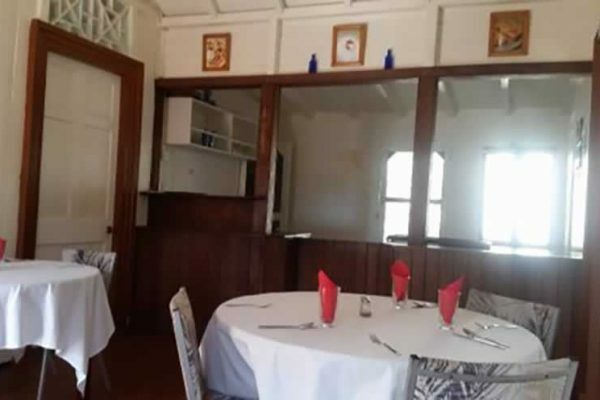 Bananas Restaurant, hidden high up in historic Hamilton Estate. Follow the torch lit pathway to discover the warmest welcome on the island. 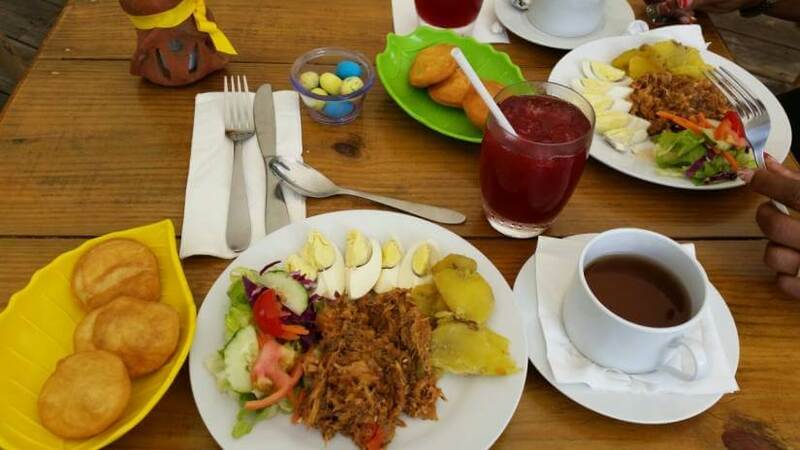 Try Boddie's Cafe hearty buffet breakfast. 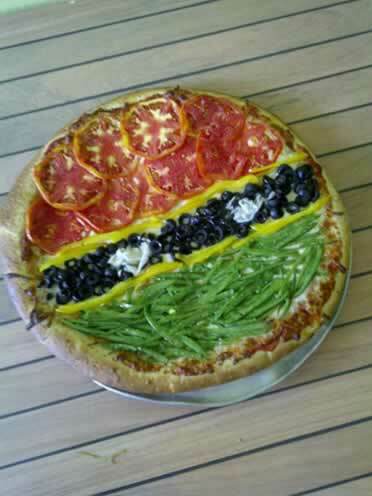 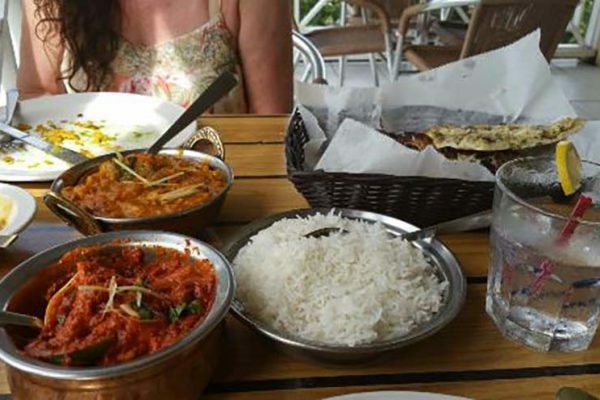 Select from their mouthwatering, exciting and healthy menu. 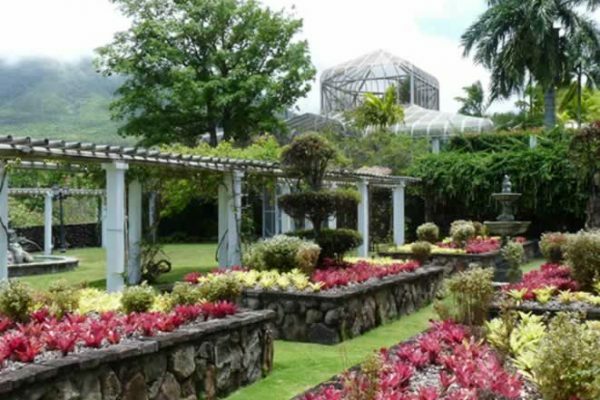 Discover the beauty and diversity of the tropical plant kingdom against the dramatic backdrop of Mt. 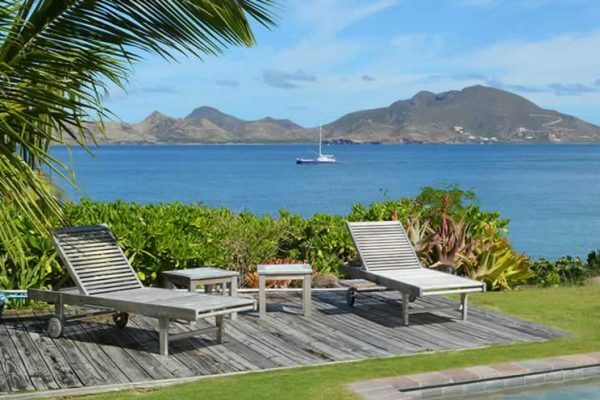 Nevis. 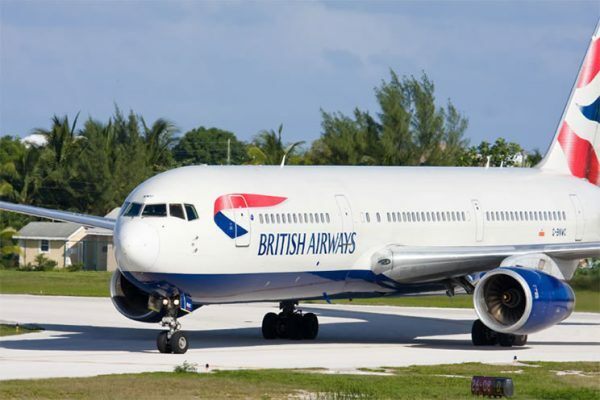 British Airways can take you to Nevis' flawless sandy beaches and clear turquoise waters. 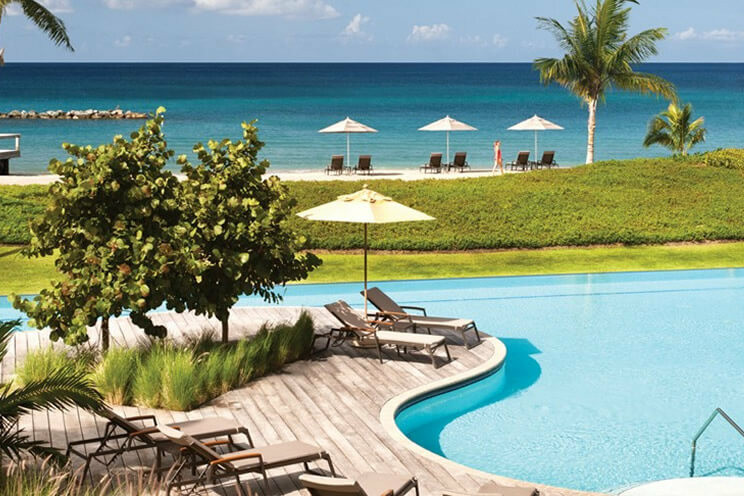 Our reservations team is available and ready to help you plan your perfect experience. 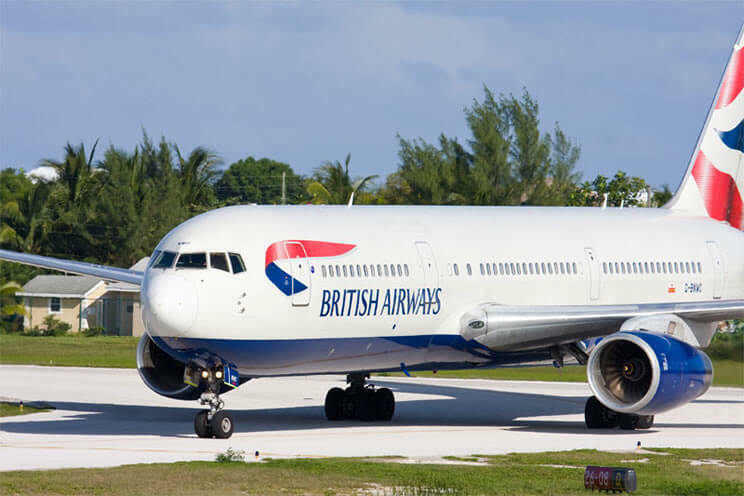 Whether you have a question about our flight services, or would like to book an unforgettable tour, our reservations team will assist you with any part of the process. 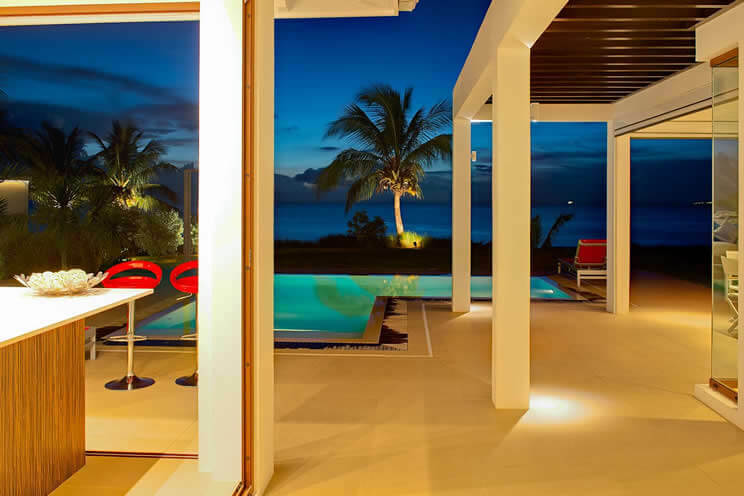 Stunning and contemporary surroundings. 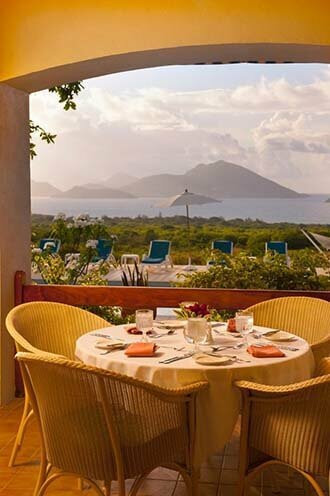 Enjoy a relaxed brunch, lunch, wine, or afternoon tea. The comfort and individuality of private villas together with exceptional service and hospitality. 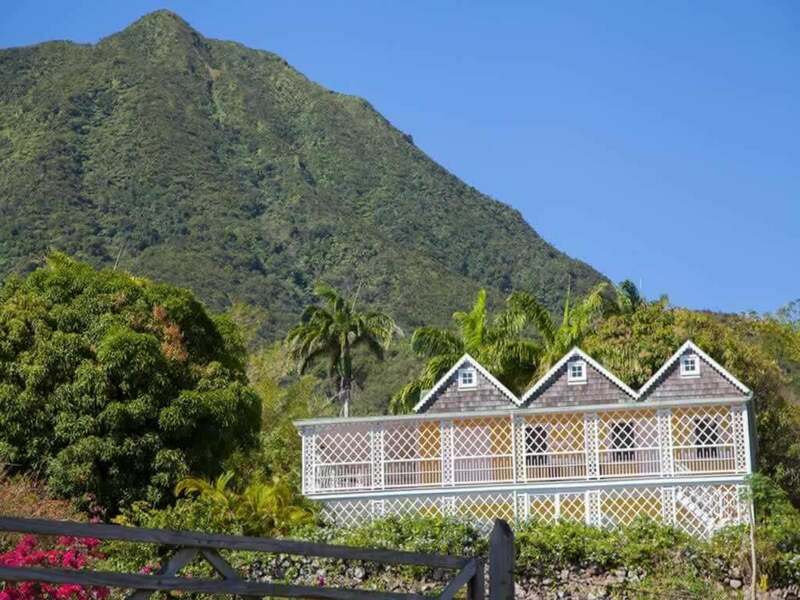 Located on the beach in the midst of a coconut palmary, the all natural thatch building overlooks the Caribbean Sea, with clear views of St. Kitts, and spectacular sunsets. 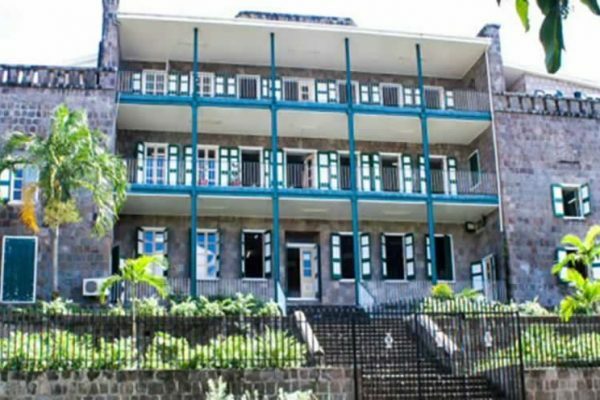 With our five generations of the Yearwood family island knowledge, Coldwell Banker St Kitts and Nevis Realty can assist buyers in making the best choice of home they wish to buy on one of our islands. 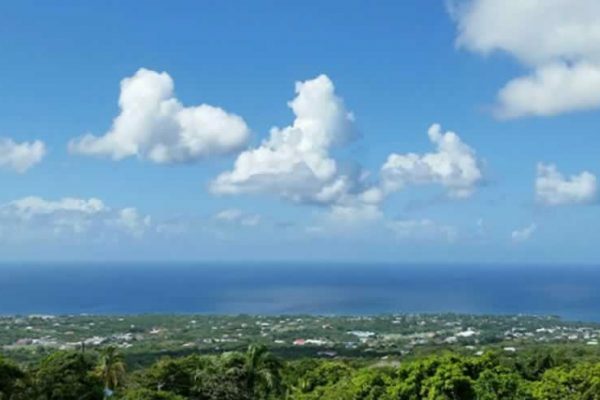 The islands landscape offers buyers a wide choice of properties to choose from. 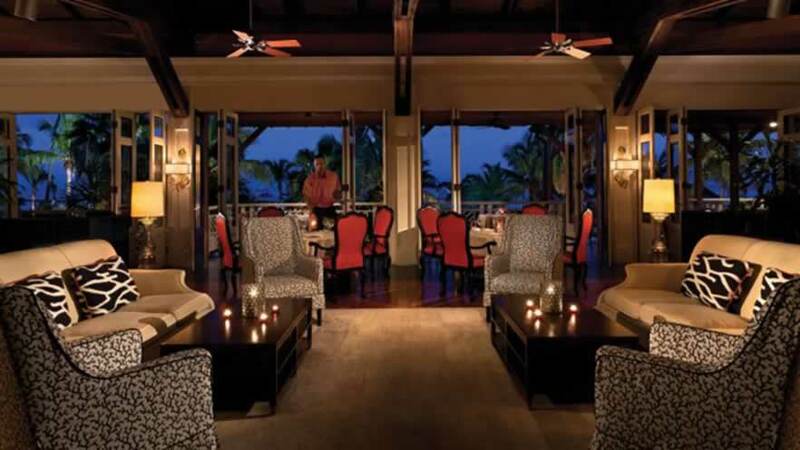 An upbeat restaurant featuring fresh seafood and exquisite cuts of meat, the Coral Grill is located upstairs in the Great House of the Four Seasons and offers a commanding view of the Caribbean Sea. 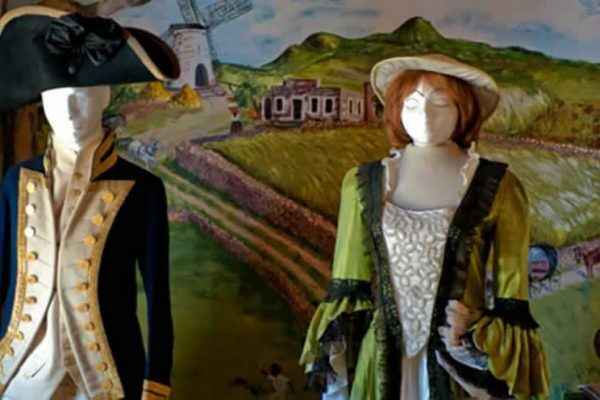 Held July 26 – August 8, this premier annual celebration marks the emancipation of enslaved people in the 1830s in Nevis. 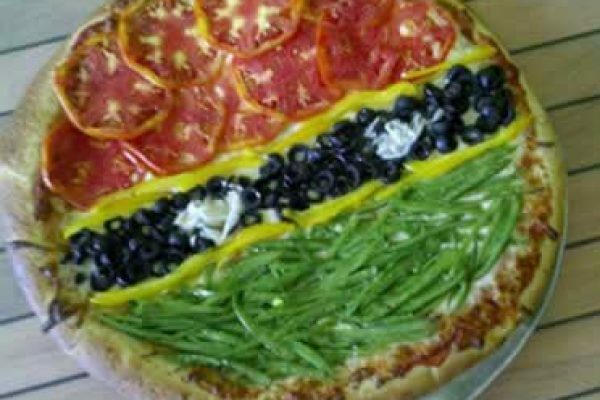 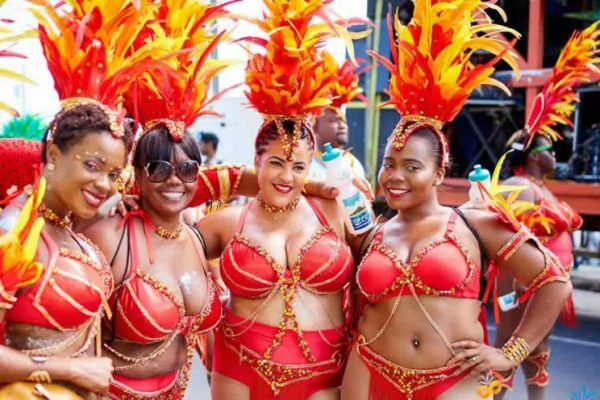 It represents a 12-day festival of Nevis arts and culture, including numerous colorful costumed pageants and parades, various competitions, a lively street fair and jump-up, music, dancing, authentic Nevisian food and much more. 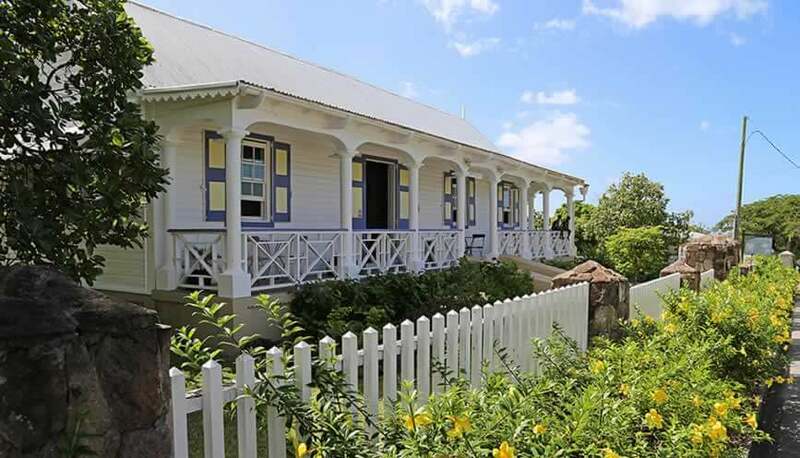 The gracious, colonial dining porch wraps around the historic manor house offering public and private dining for breakfast, lunch and dinner. 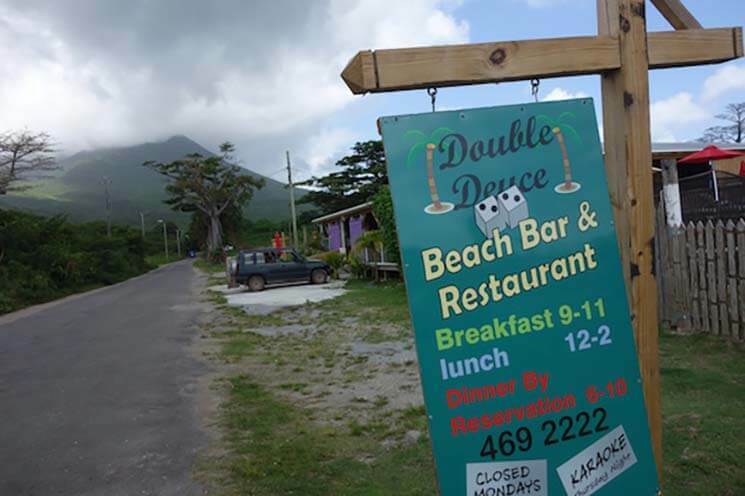 Double Deuce is known for its fresh locally caught fish which includes Mahi Mahi, Wahoo, Red Snapper, Yellow Fin Tuna and local Lobster. 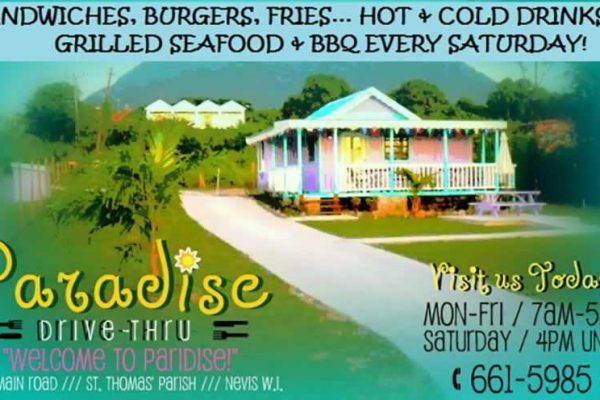 Also we serve ginger garlic shrimp, black angus beef steaks, barbecued chicken, tasty BBQ pork ribs, and the famous double deuce organic 8oz beef burger. 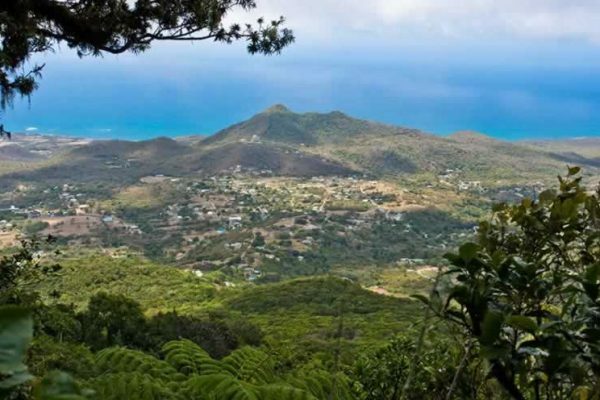 Hiking with Earla, a guide and herbalist with Earla's Eco Tours, provides a window into how Nevisians have long used botanicals in their daily lives. Take one of the world’s leading luxury-hotel brands. 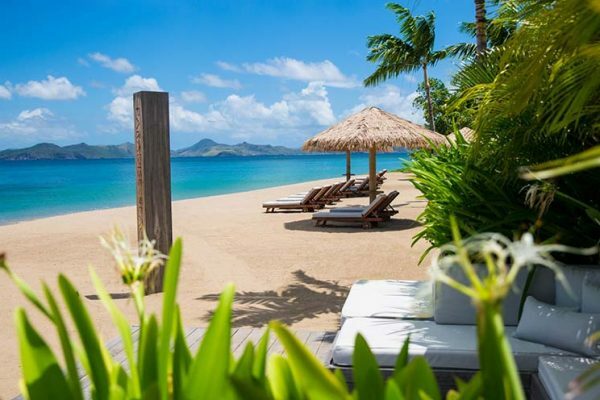 Add to this a one-of-a-kind island destination. 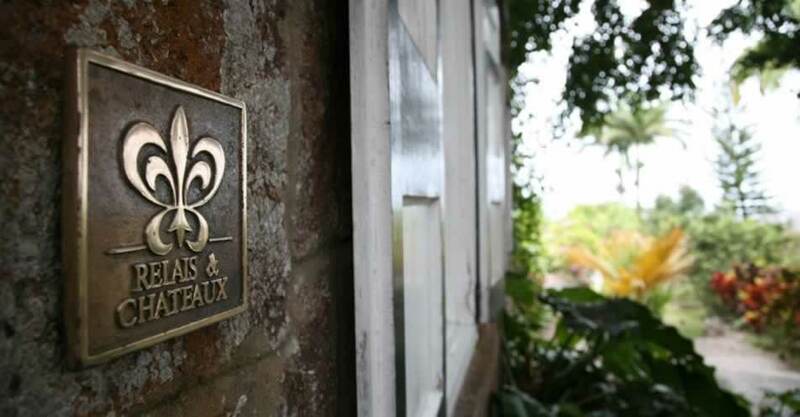 Bring into the mix a team of master architects, craftsmen and interior designers. 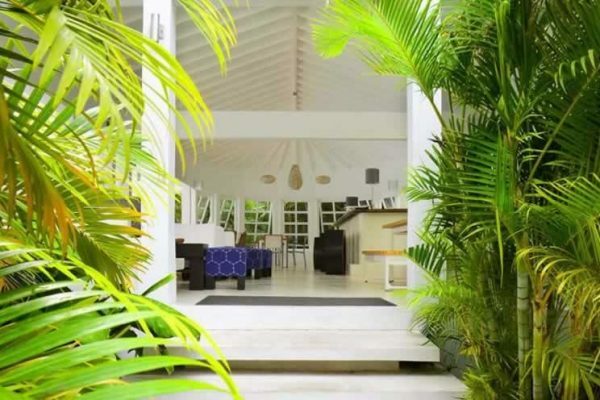 What you have is a recipe for some of the Caribbean’s finest residential retreats. Four Seasons Resort Nevis offers a premium golf experience with dramatic views of the island, weekly clinics and golfer conditioning programs. 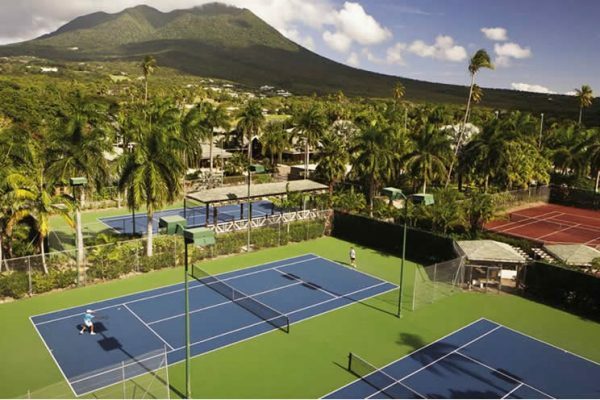 Nevis tennis facilities include ten courts and ample services and amenities including night play and professional instruction. 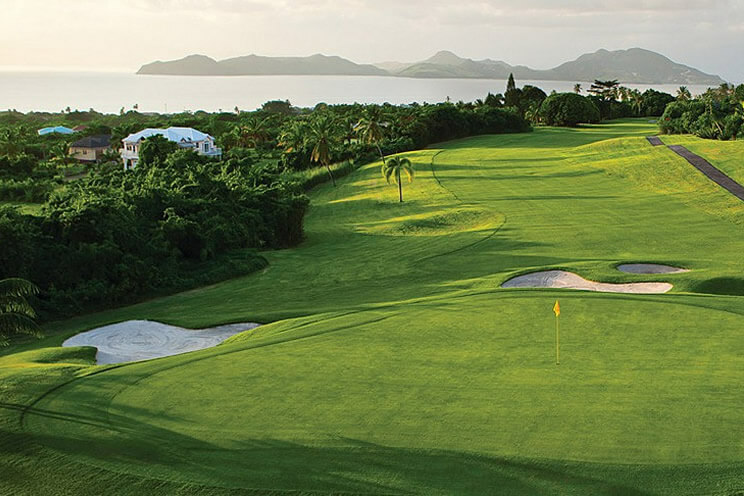 Equipment, apparel and accessories are available from the pro shop, located in the sports pavilion. 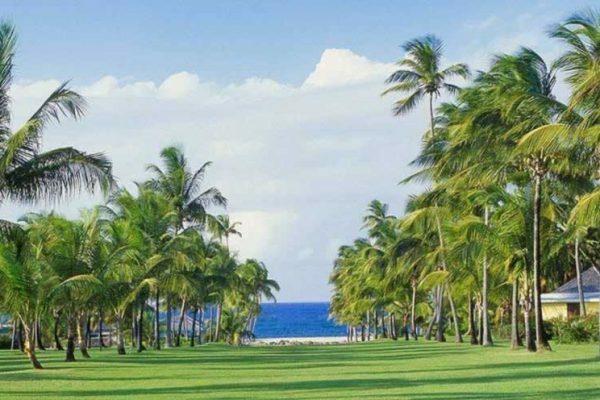 A tropical oasis located lifetimes away from the hustle and bustle of the Caribbean -- flush with sugar-soft beaches and sweeping vistas of rainforest, discover equal parts serenity and tropical adventure around every bend. 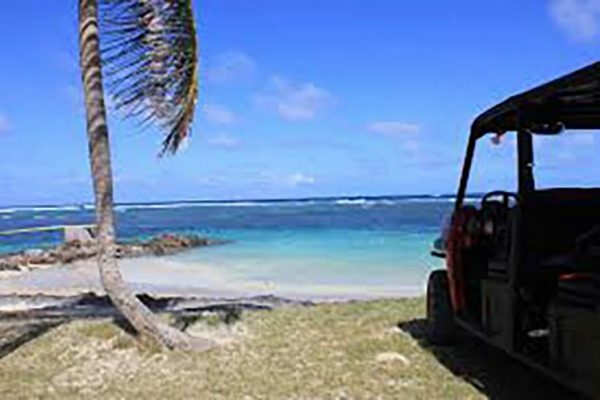 Reserve your 4x4 guided tour, Jet Ski guided tour or vehicle rentals here. 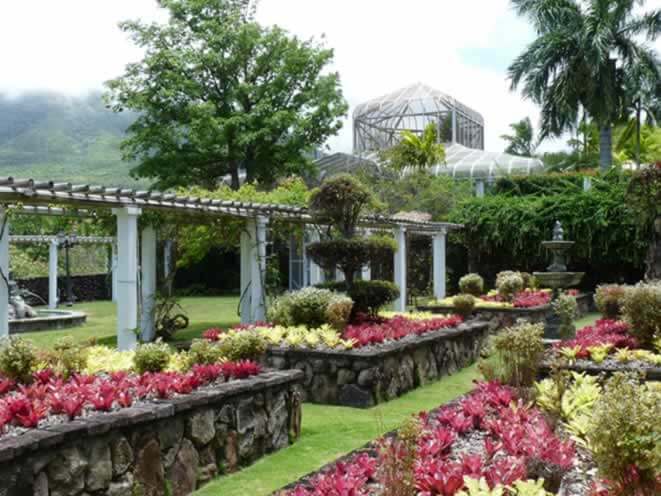 Dating back to the early 1800’s, Golden Rock sits on a hundred acres stretching up the verdant slopes of Nevis Peak. 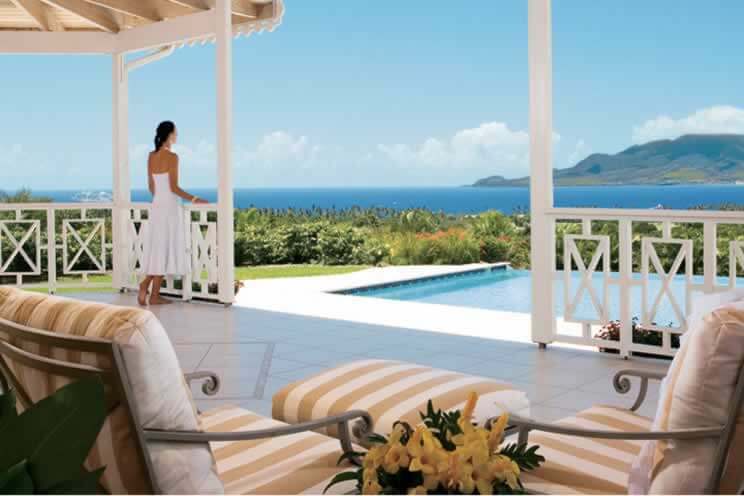 Eleven guest rooms offer privacy, glorious tropical gardens, and sea views toward the Caribbean islands of Antigua and Montserrat. Golden Rock has been thoughtfully restored and expanded through the eyes of artists Helen and Brice Marden. 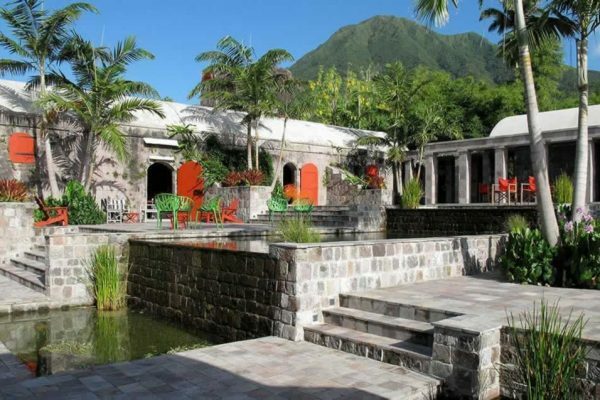 The Hermitage is more than a hotel in the Caribbean, it is the oldest wooden house on the quiet island of Nevis. 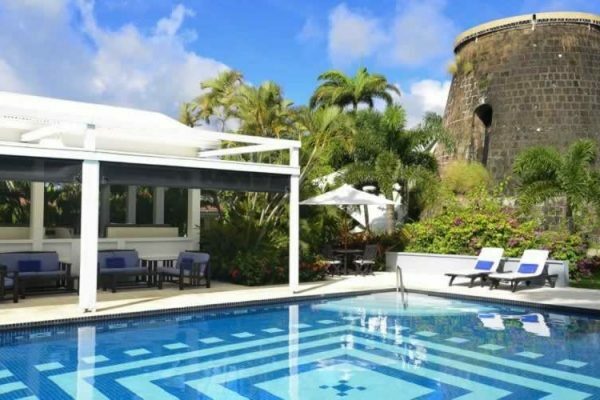 Writers, journalists and guests call us one of the most unique hotels in the Caribbean. 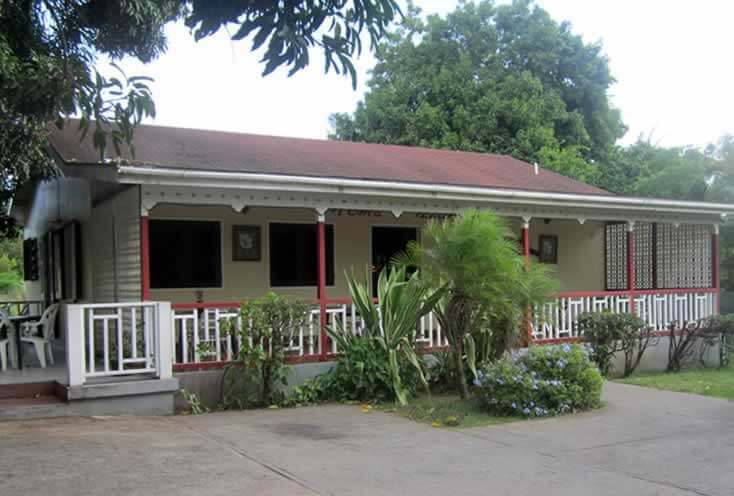 The Hermitage are available for horseback riding seven days a week except on a day that we are having horse racing and when it’s raining. 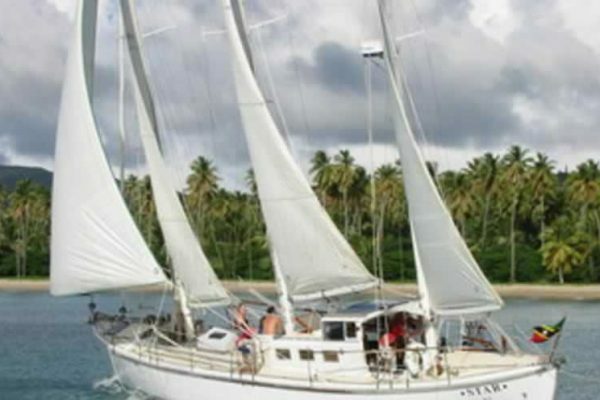 Welcome to Independent Yacht Charter. 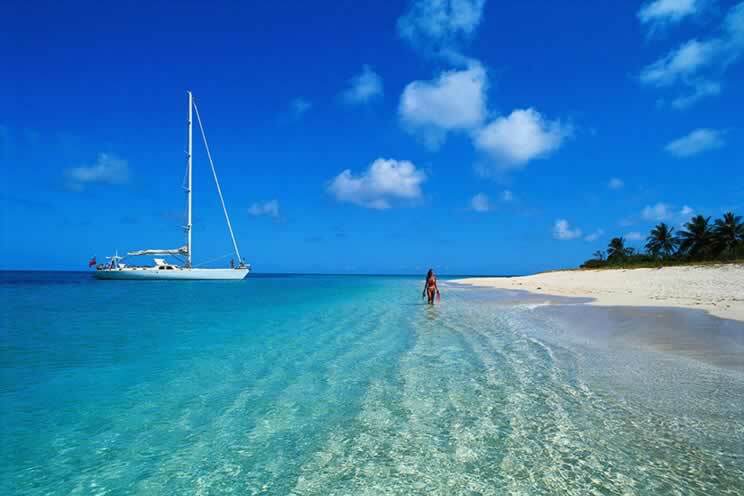 We charter professionally crewed, luxury yachts throughout the Caribbean from the British Virgin Islands (BVI) to the Grenadines. 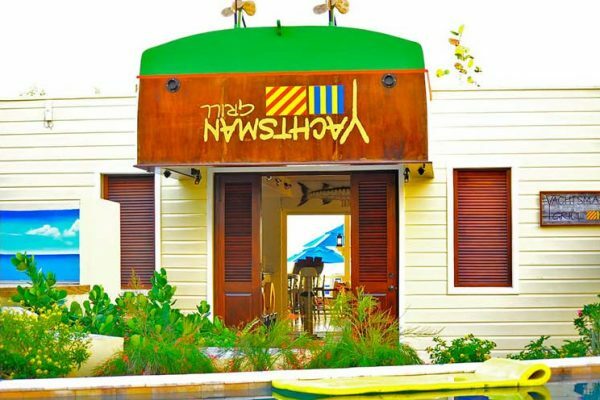 Leaving Mumbai to pursue his dream of owning a restaurant in the Caribbean, Vikas Pariani opened Indian Summer after having two successful restaurants on both St. Maarten and St. Kitts. 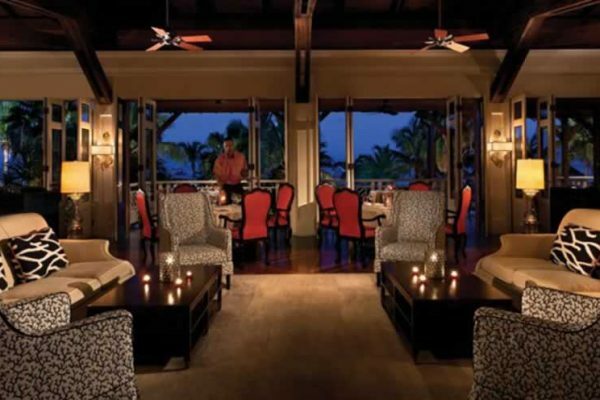 Indigo embodies easygoing island dining. 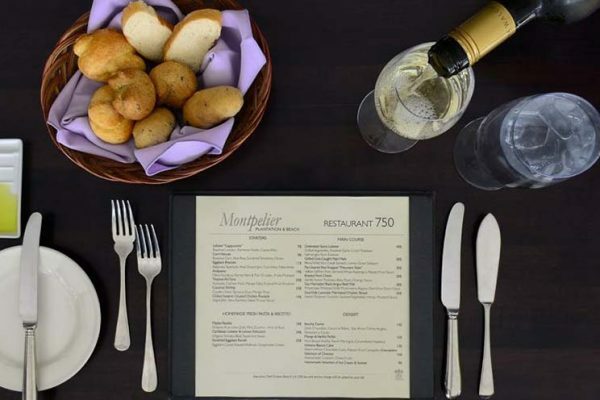 Casual lunches and dinners are just as remarkable in character as Restaurant 750, only more relaxed. 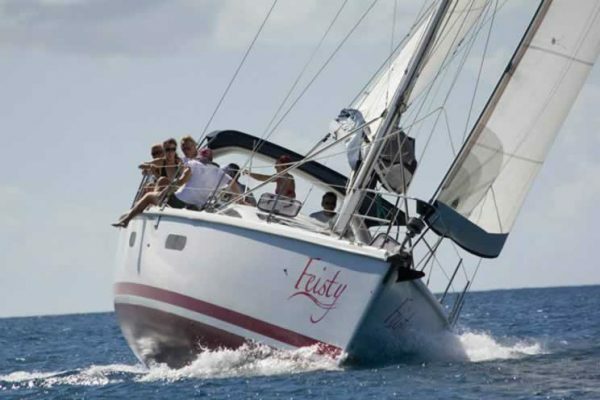 Arriving by sea is the ideal choice for those flying into St Kitts from Europe or North America. 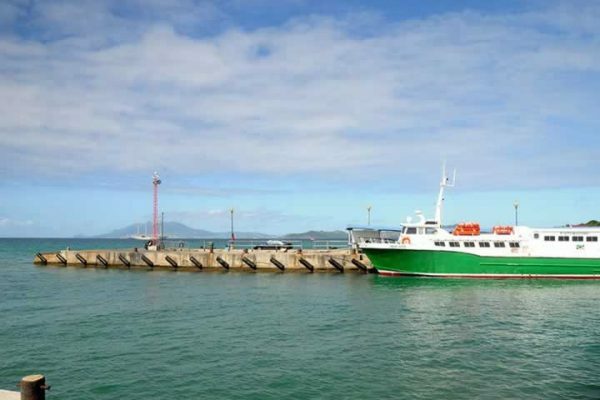 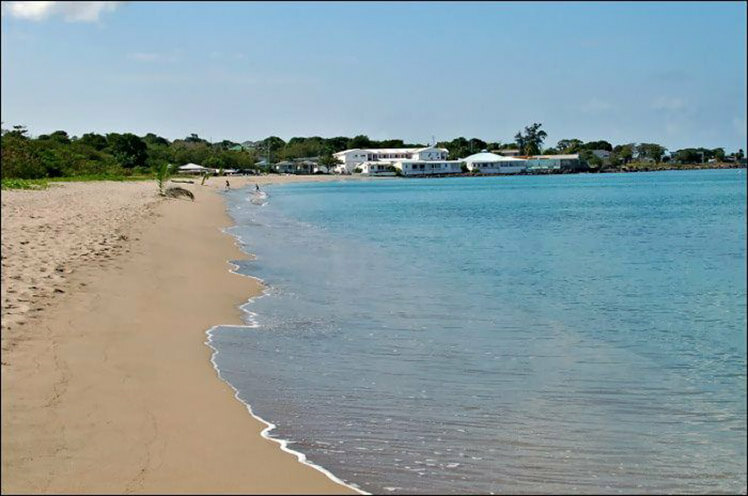 Boats will travel to Charlestown, the capital of Nevis, while the Seabridge ferry docks at Cades Bay. 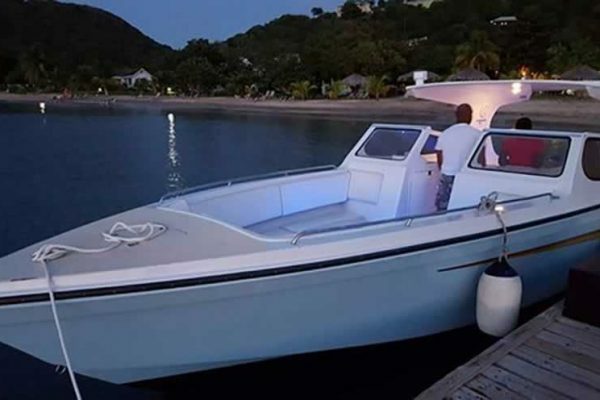 On demand water taxis from St Kitts normally arrive at Oualie Beach on the island’s north side. 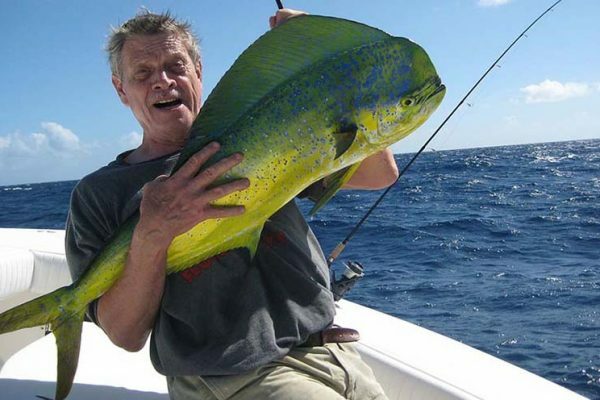 A love of the ocean runs deep for skipper and accomplished fisherman Mally Jeffers. 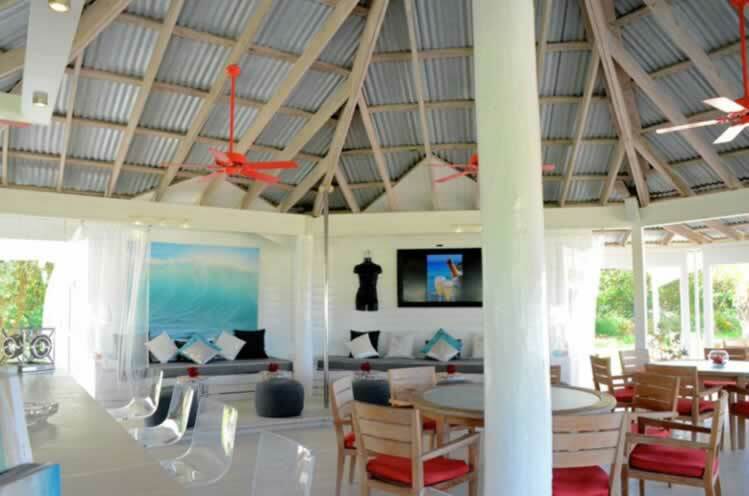 The new Kastawey Beach Bar is the perfect new hideaway to ‘while away’ the Caribbean afternoon or take in a breathtaking sunset. 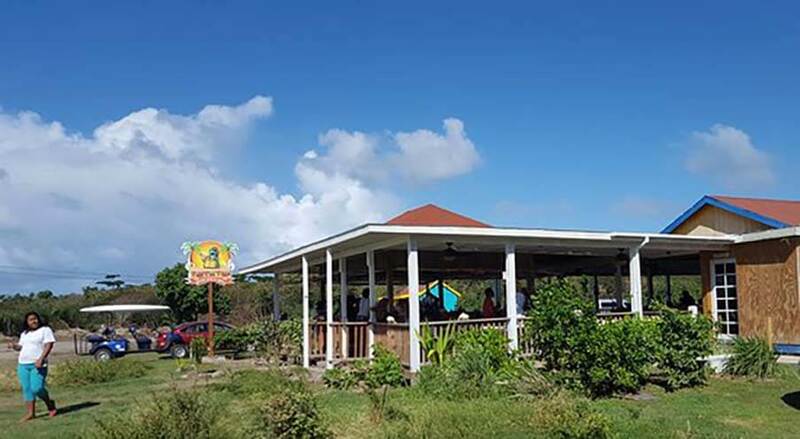 Located on the southern end of property near the Reflections Pool, Kastawey Beach Bar captures the joyful spirit, yet serene essence of Nevis. 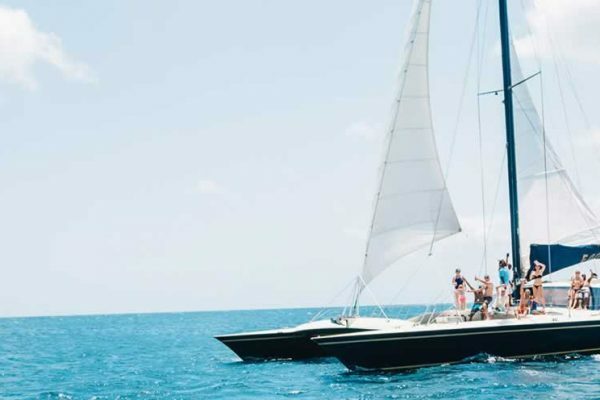 We are passionate about ensuring that your experience with us is memorable, whether it is just you or your group from a sail and snorkel to lunch on the beach or sunset cruise. 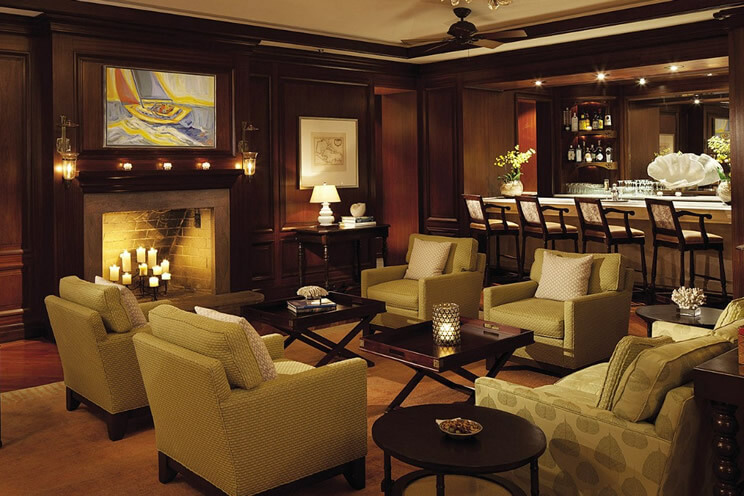 Library Bar is located just off the Great House Lobby with easy access to Neve restaurant. Sip a cocktail in an intimate setting, or enjoy an Island rum along with a Cuban cigar on the Ocean Terrace. 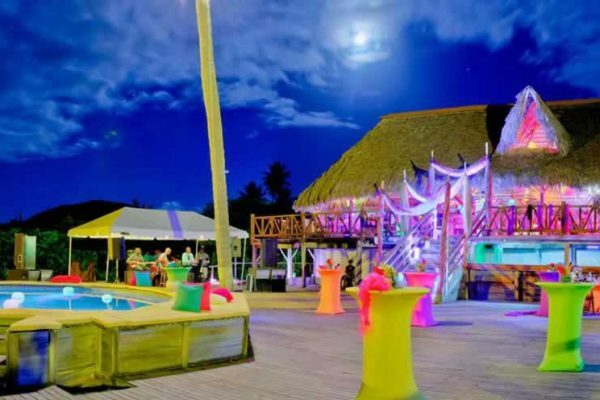 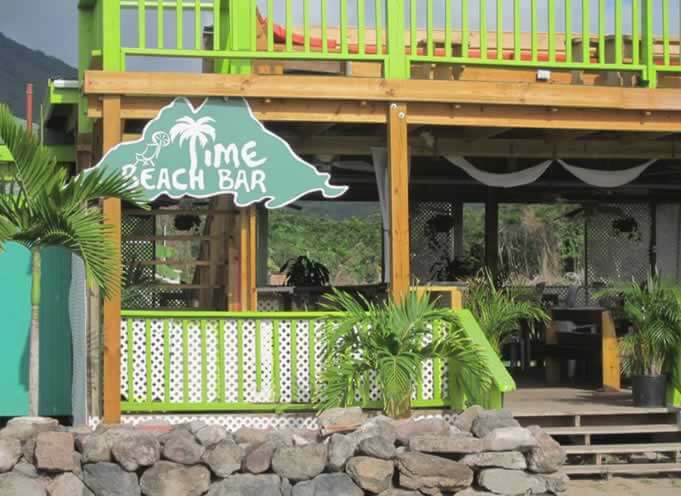 In the Caribbean to ‘lime’ is to perfect the art of doing nothing while chilling out with friends, and there’s no better place for group inactivity than Randy Jeffers’ Lime Beach Bar. 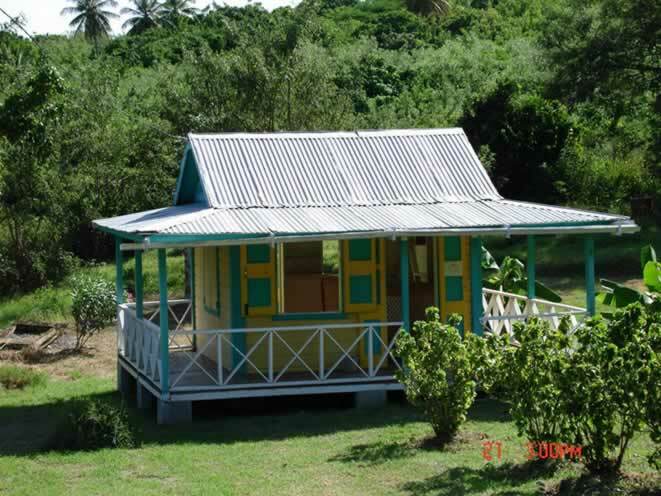 Natural fauna and old- fashioned Nevisian cottages meet modern amenities for long term and short term rental. 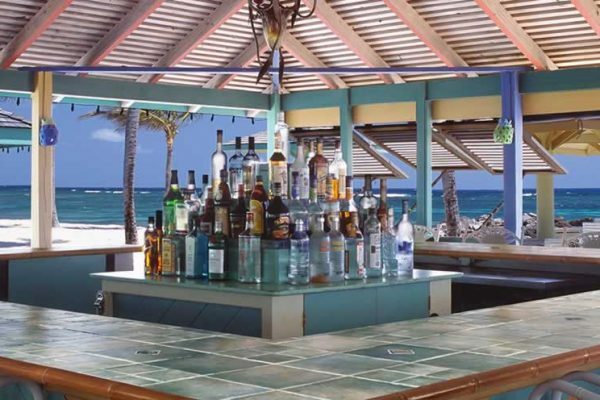 The Lindbergh Bar is housed in a refurbished old fashioned Nevisian Chattel house. 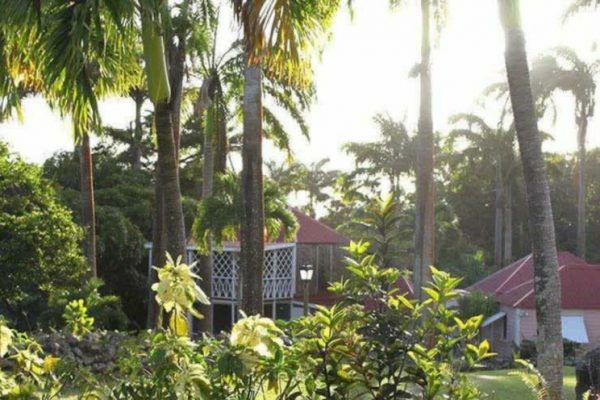 Welcome to Lindbergh Landing, the Nevisian Mountain Experience. 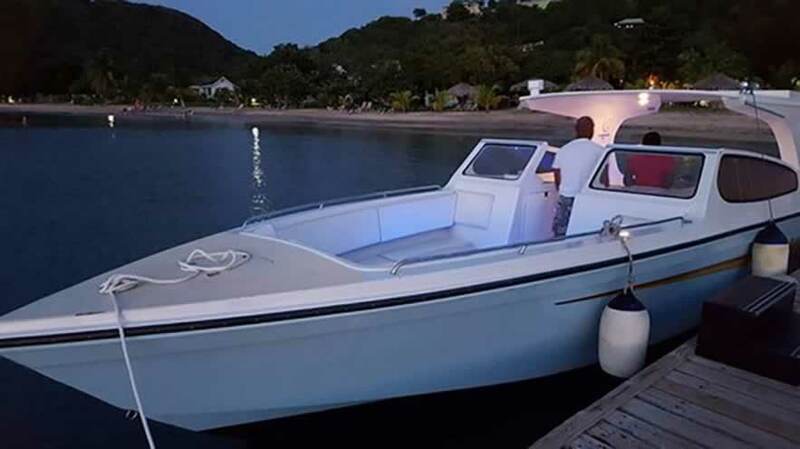 Many visitors say traveling by boat is the only way to arrive on Nevis. The views of Mount Nevis, the dormant volcano, as you approach the island are stunning. 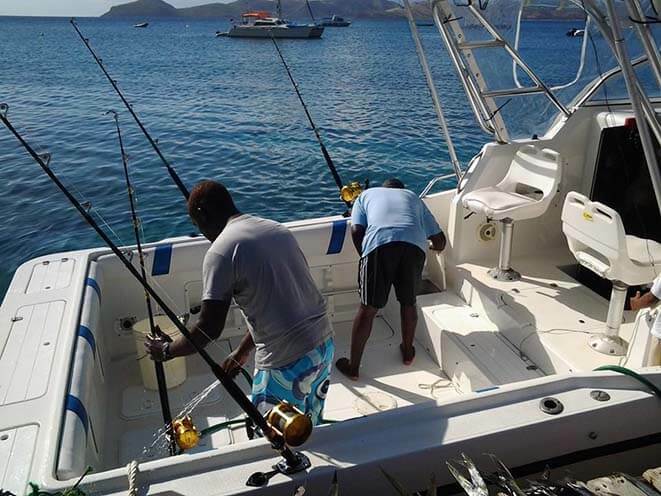 The waters around Nevis are teeming with game fish like tuna, barracuda, sailfish, blue marlin, wahoo and mahi mahi. Need a rental car in Nevis? 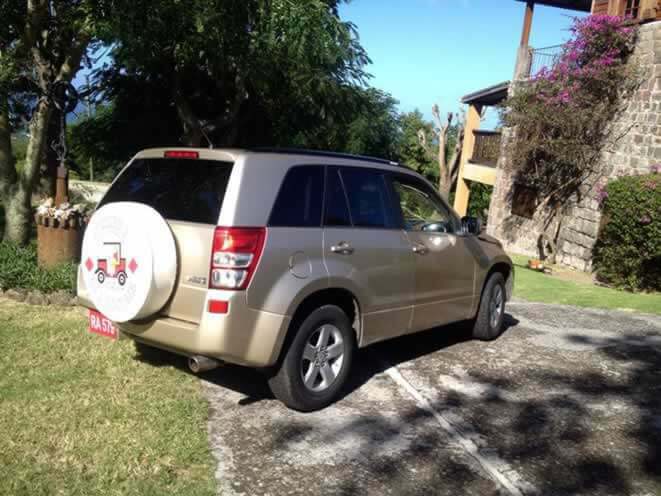 Rent from the best rental car company in Nevis! 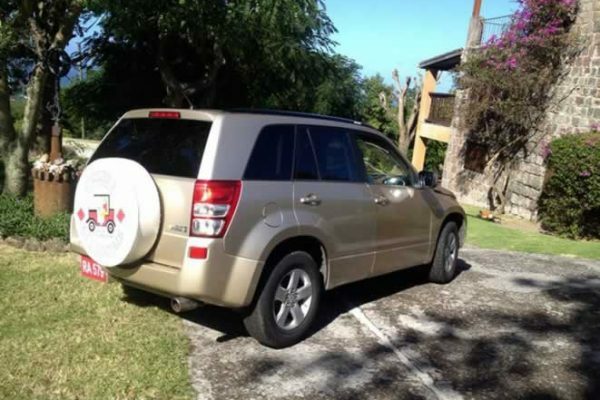 We offer free pickup and delivery. 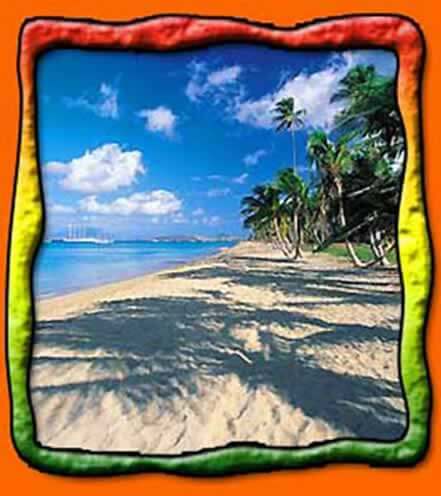 We also offer guided island tours. 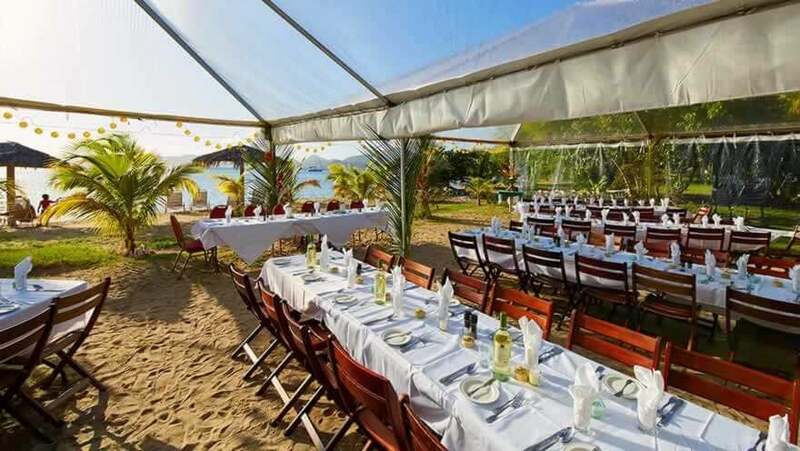 The Nevis Mango & Food Festival is a weekend of culinary enjoyment celebrating the mango and culinary excellence, featuring celebrity chefs Judy Joo and Seamus Mullen. 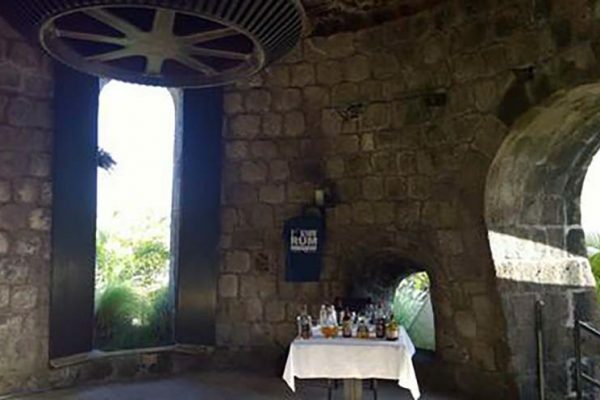 Whether you're an enthusiast, a casual rum drinker, or don't drink at all, this experience will teach you about the history and different types of rum. 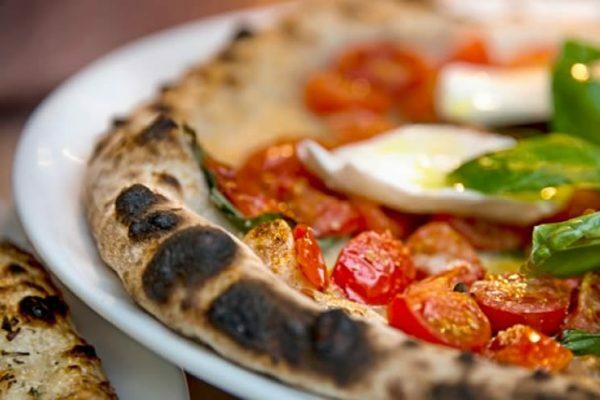 A highly imaginative selection of pizzas includes lobster pizza and the Mem’s Inferno, which lives up to its name by being very spicy. 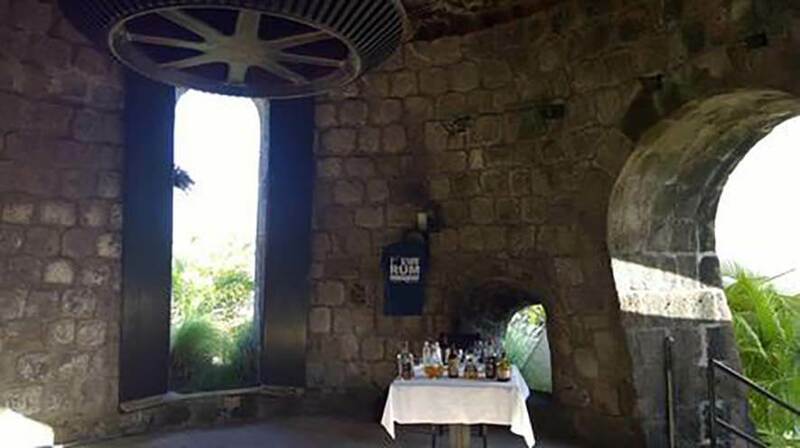 Privée, a one of kind candlelit dining experience located inside the 300-year-old sugar mill converted into a restaurant, offers a gourmet 6 course tasting menu for a mere $75. 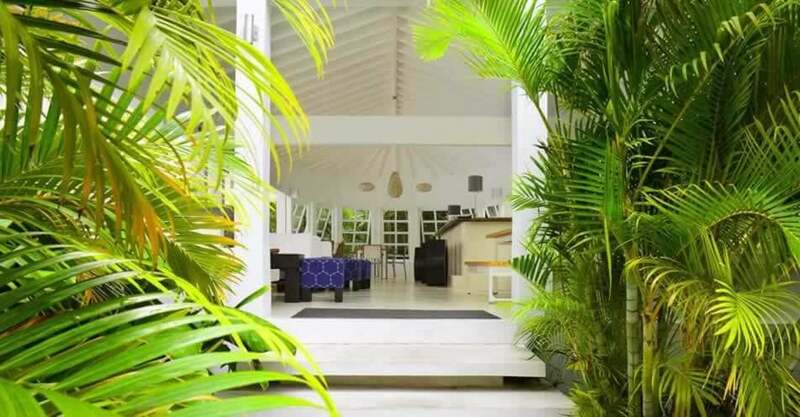 Montpelier Plantation and Beach is a boutique hideaway in the heart of the Caribbean. 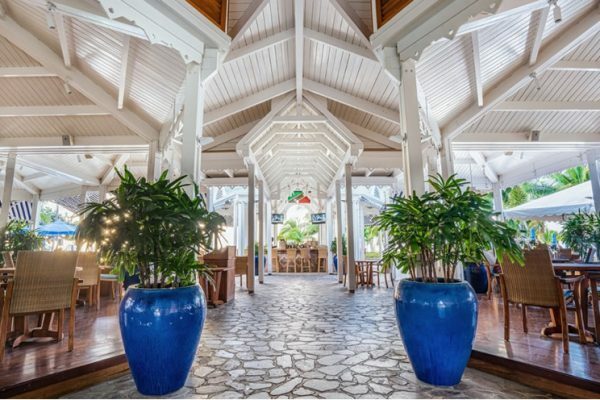 Dine in a magical atmosphere where the tropical sun paints shadows as it sets, creating an exquisite al fresco culinary experience. 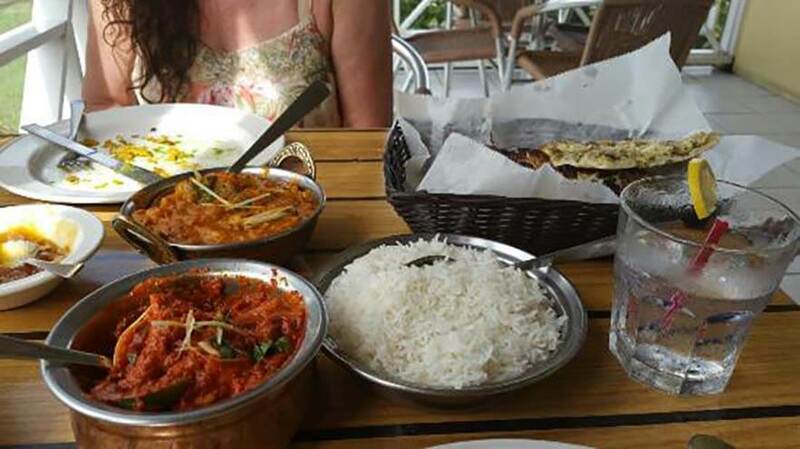 Delight your senses with both familiar and exotic flavors that will please any palate. 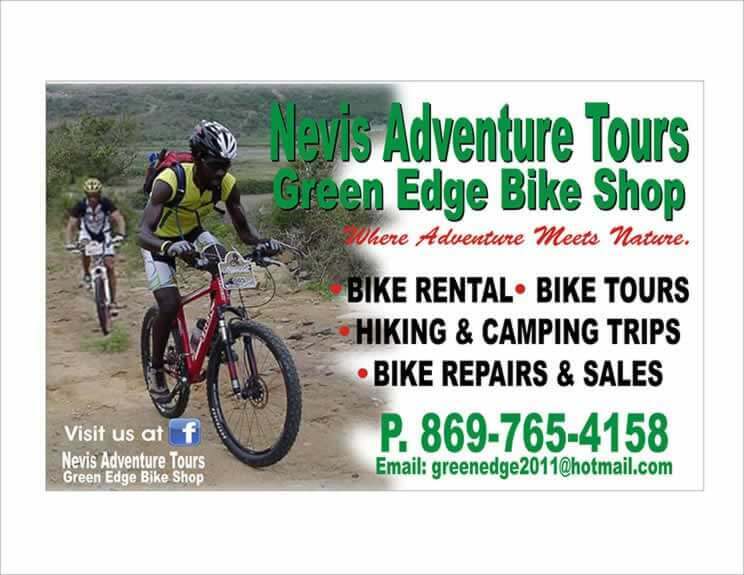 Welcome to the home of cycling here on the beautiful island of Nevis, whether your passion is Mountain Biking, Casual riding, Road Biking or Triathlon, you have come to the right place. 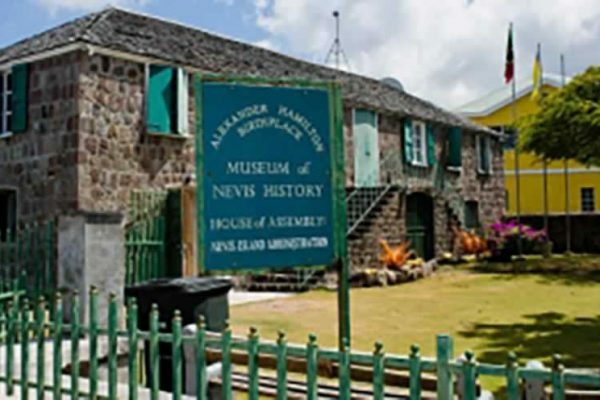 The Museum of Nevis History is the birthplace of Alexander Hamilton, a great American statesman who founded the Democratic party in the USA he is also the guy on the US$10.00 bill. 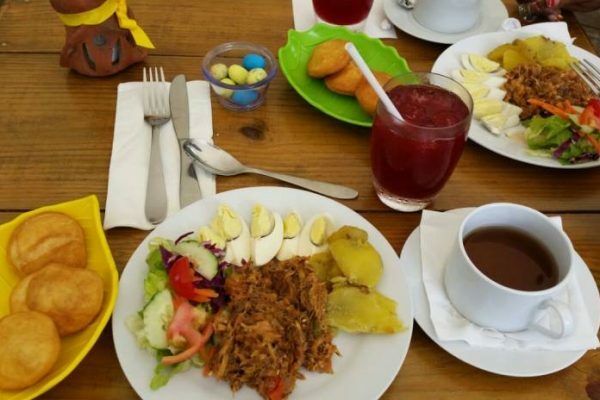 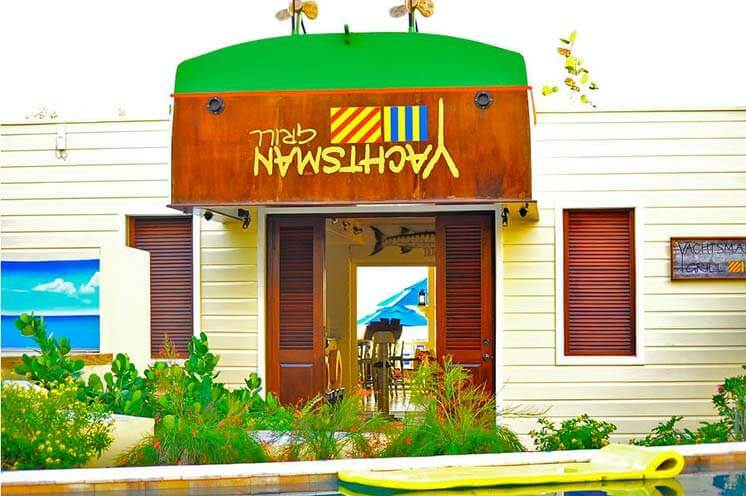 Open every day for breakfast, Neve features a variety of international dishes, as well as local specialties such as spiny Caribbean lobster stew, a Nevisian version of eggs Benedict. 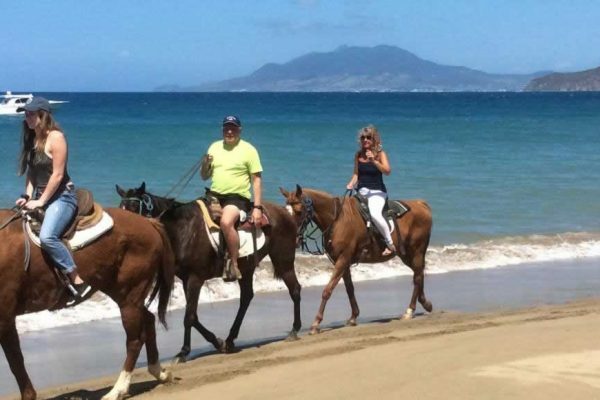 The Nevis Equestrian Centre has been providing this unique horseback riding opportunity to visitors since 1996. 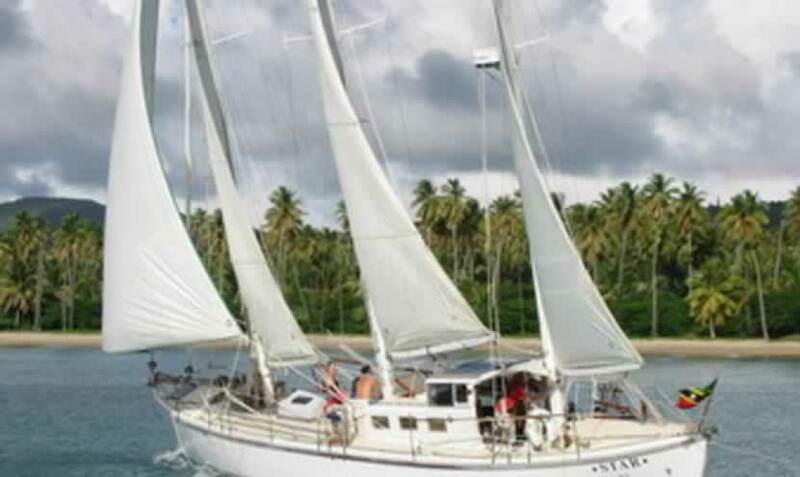 Our crewed yacht charter, based on the island of Nevis, is the best way to see the twin island federation of St Kitts and Nevis. 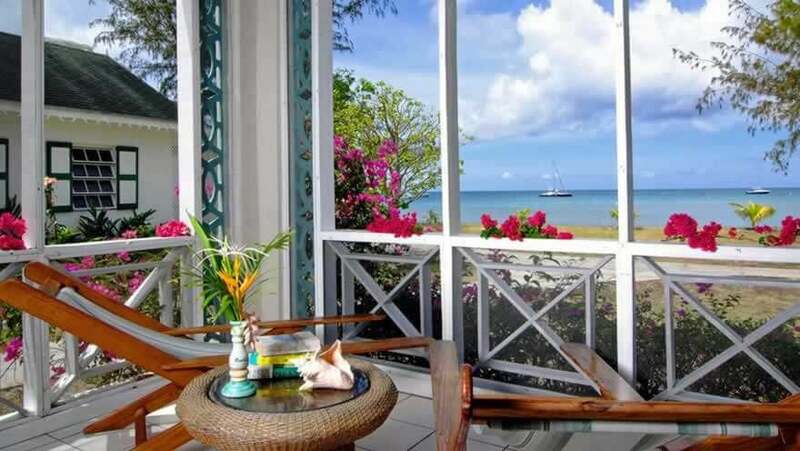 Feel perfectly at ease at the Caribbean's only historic plantation inn on a beach. 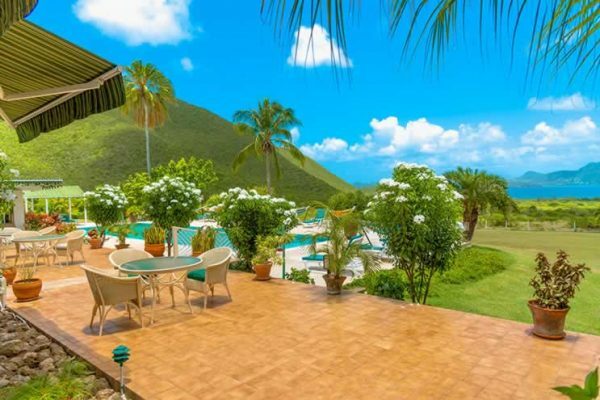 Spread over 30 lush acres, unwind in one of just 36 casually resplendent Caribbean accommodations offering ultimate intimacy and privacy. 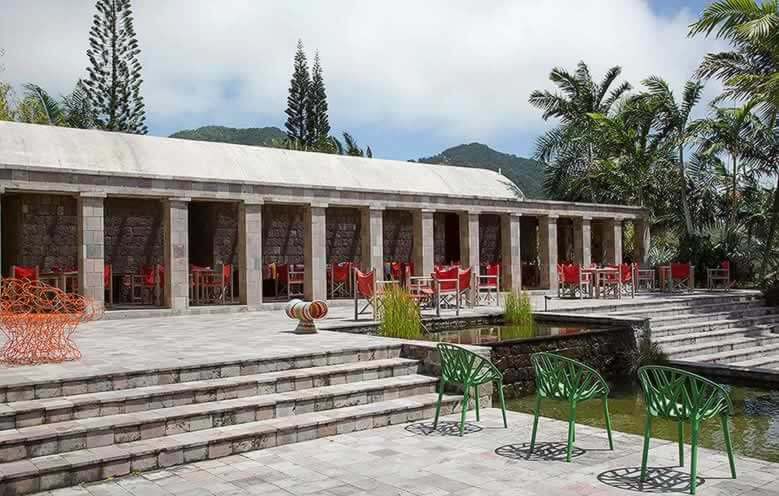 Oasis in the Gardens Restaurant is in the heart of The Botanical Gardens of Nevis, a location featuring wonderful gardens, panoramic views of Nevis Peak and historic Charlestown, with St. Kitts in the distance. 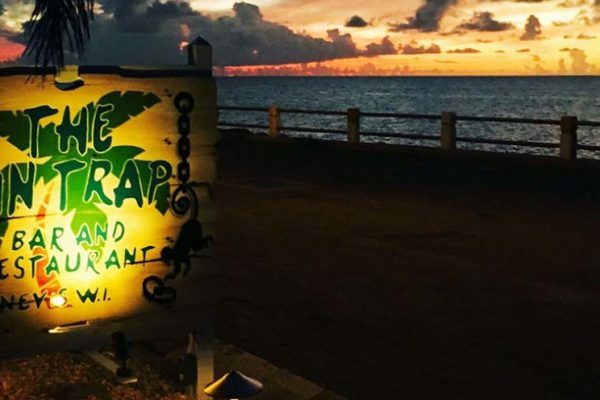 Located off the Great House and Library Bar, this al fresco restaurant in Nevis features rustic Italian classics with a tropical twist. With dishes ranging from calamari fritti to potato and caramelized onion ciabatta, spiny lobster risotto, and pineapple carpaccio, Ocean Terrace offeres guests a taste of Italy under the Caribbean stars. Oualie Beach is located right on a coconut-lined beach on the quiet, exotic, and unspoilt island paradise of Nevis. 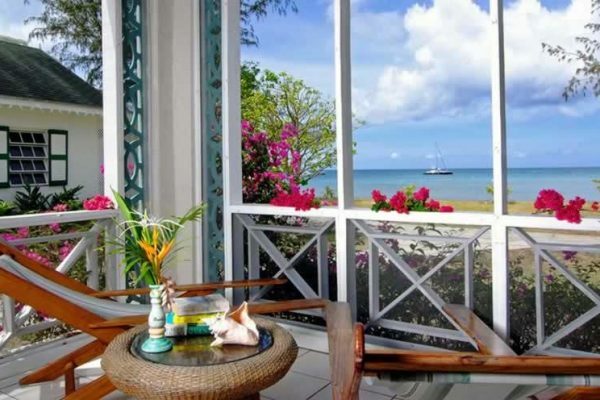 We ensure each visitor has the authentic Caribbean experience that they have been dreaming of. 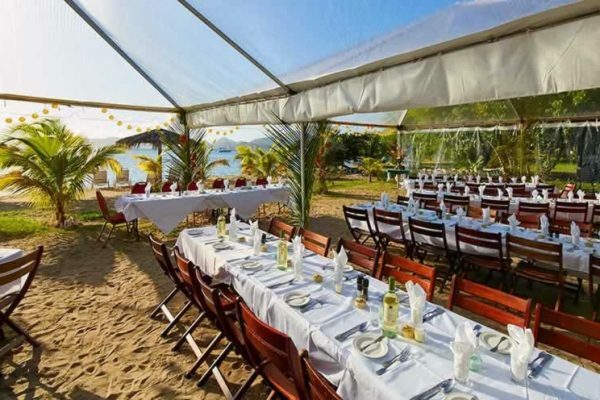 The perfect dining location right on the beach. 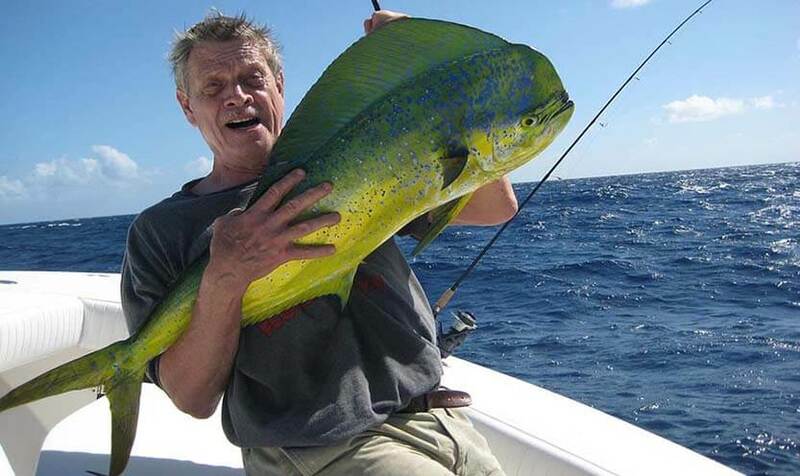 Unlike most restaurants, we insist on serving fresh fish. 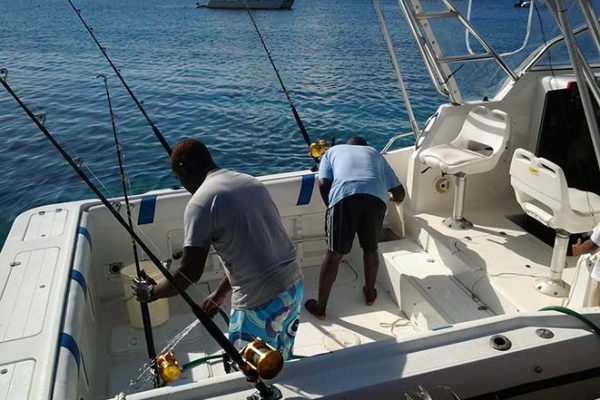 Tuna, Wahoo and Mahi Mahi are brought right into our dock from the game fishing boats and kept on ice, never frozen. 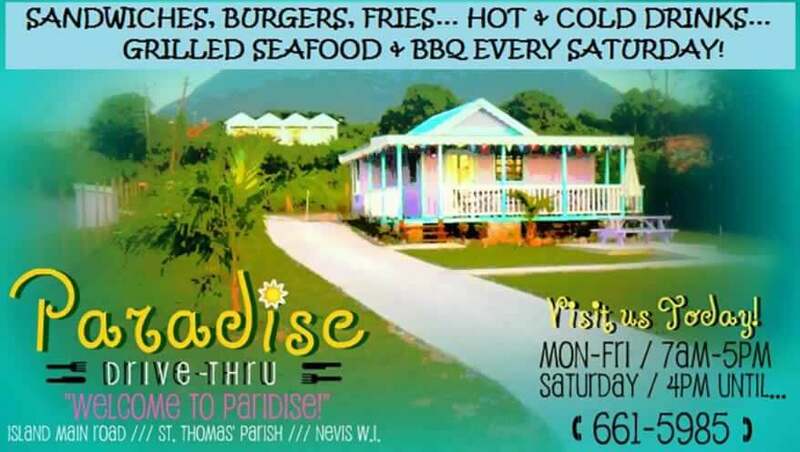 The only restaurant of its kind on Nevis, Paradise Drive Through is a relaxed venue that specializes in barbecues with mouth-watering ribs and tender chicken two particular favourites. 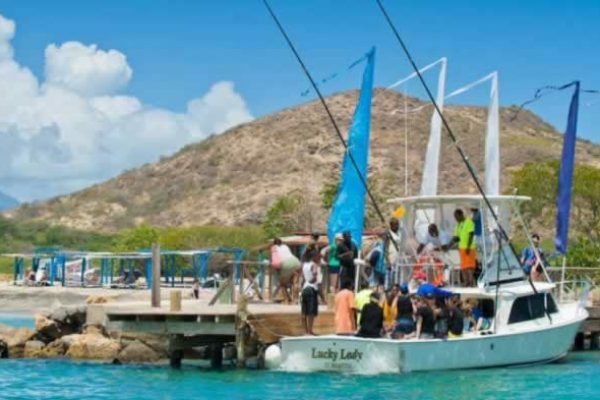 You can enjoy a day out snorkeling with friends and family, or watch the sun set while enjoying the lovely coastline of St Kitts and Nevis on a romantic sunset cruise. We also offer water taxi service to get you to or from our beautiful sister island of St Kitts. 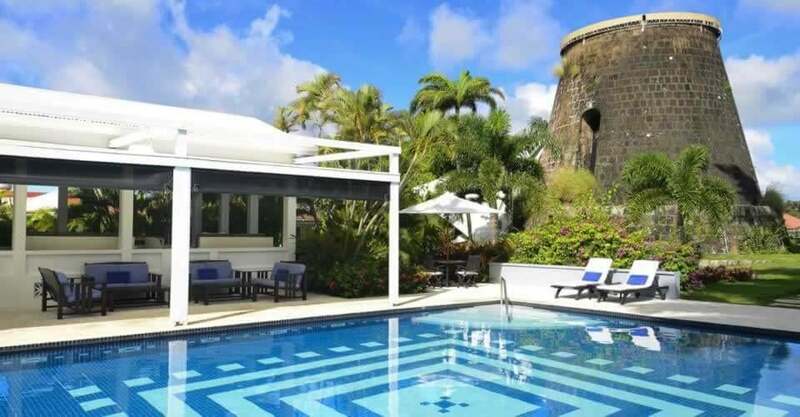 A mere 7 minutes walk from the unique capital of Charlestown, Pinney's Beach Hotel is a well positioned and reasonably priced in-town hotel. 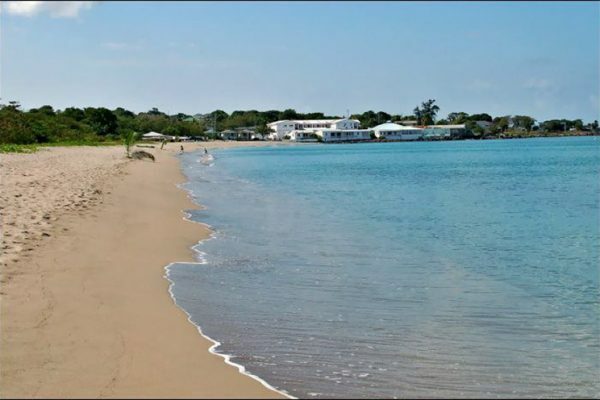 Located at the south end of the beautiful stretch of Pinney’s beach. 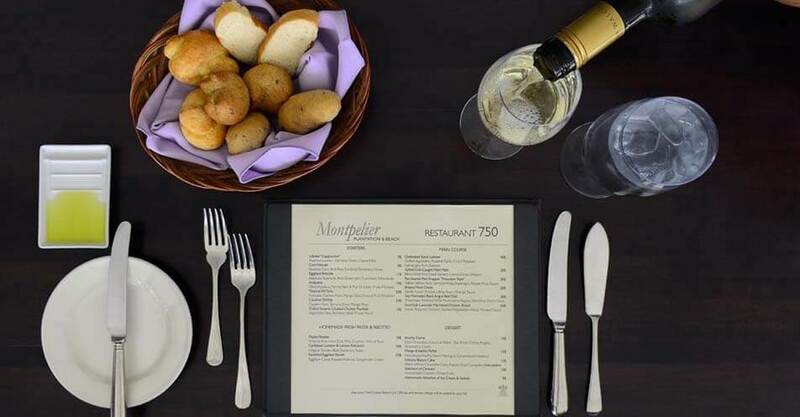 In the evening, life shifts to the stylish ambiance of the Restaurant 750. 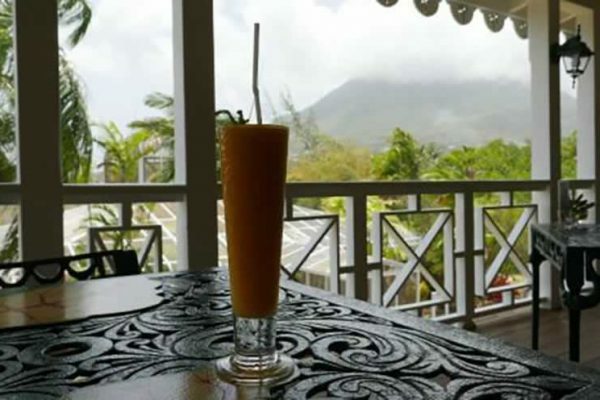 Drinks and canapés are served in relaxing comfort, before dining on the terrace with captivating views of Charlestown Nevis and nearby St. Kitts. 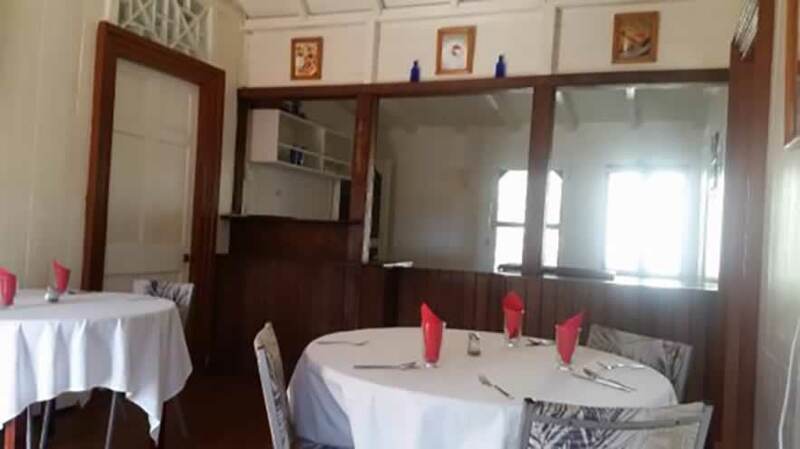 The restaurant is an attractive development of older houses which have been renovated and extended to offer a relaxed dining experience in friendly surroundings. 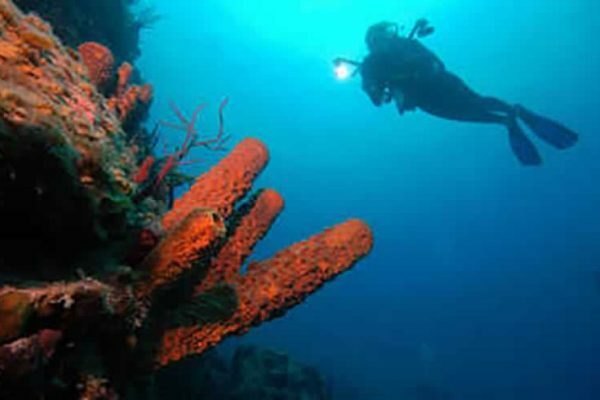 SCUBA Safaris, a Padi 5-star dive center based at Oualie Beach, a sheltered, shallow bay on the northern end of Nevis island. 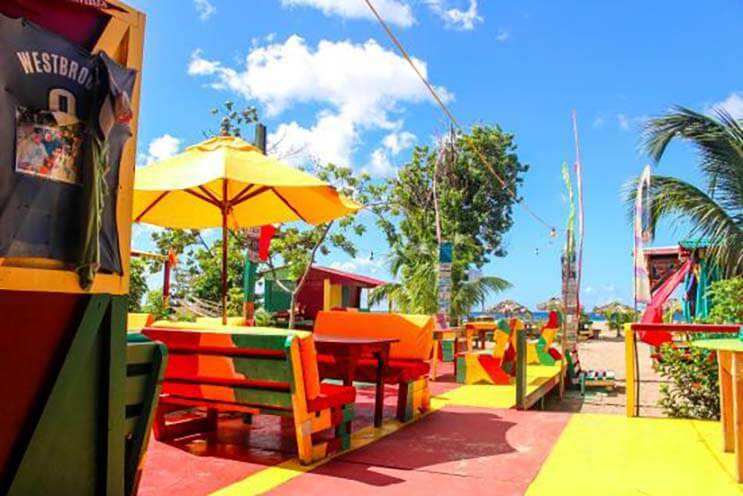 Sea Breeze Beach Bar is fun, laid-back and perfectly Caribbean. 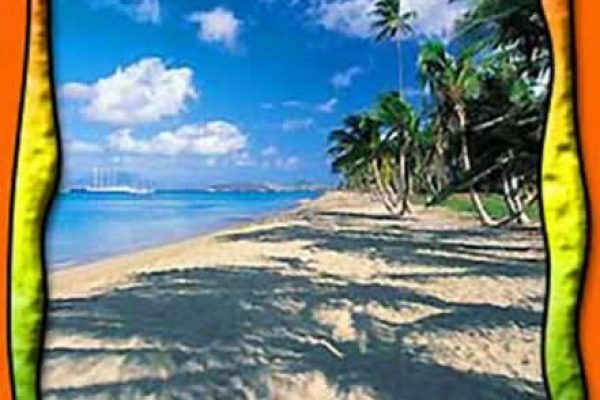 It is the epicenter of our beach activities. 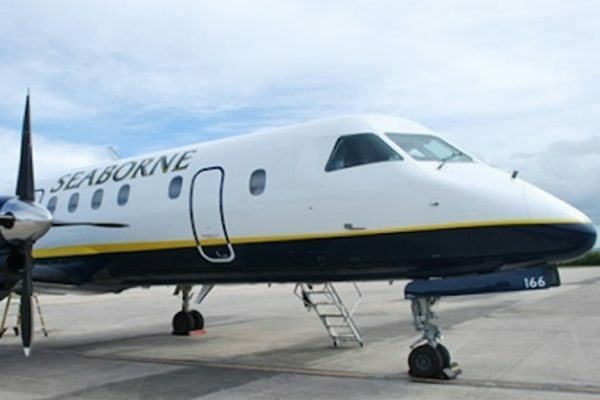 An value-oriented air carrier, SeaBorne flies to eleven airports throughout the Caribbean, including Nevis. 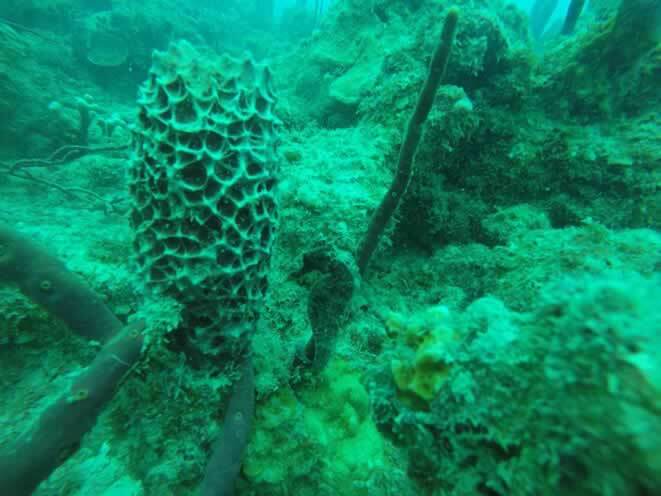 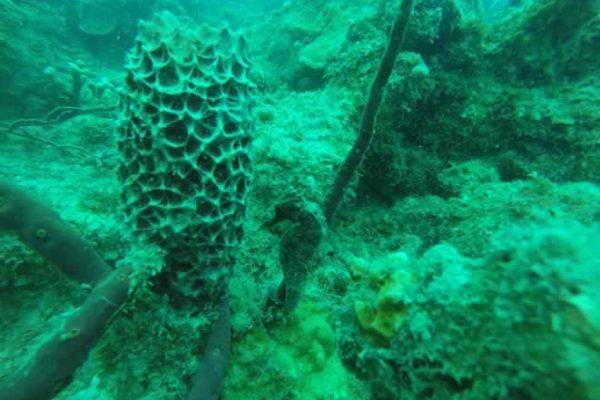 Star Charters Nevis has offered private snorkeling trips in Nevis for the last 20 years. 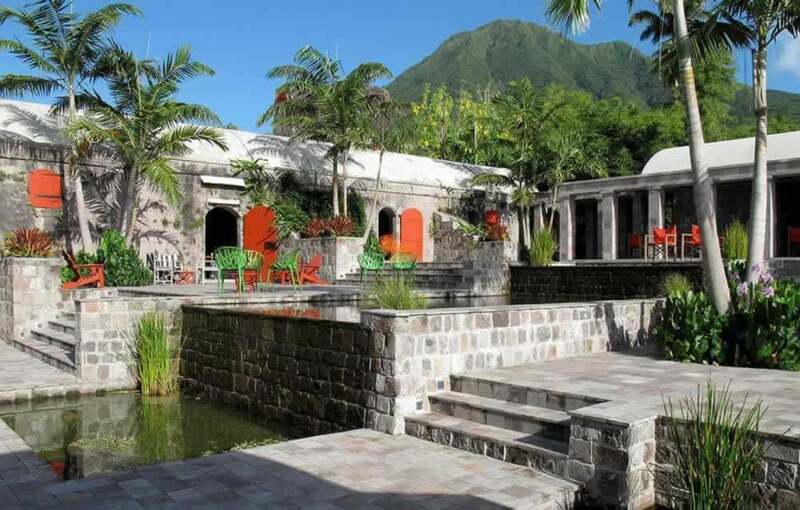 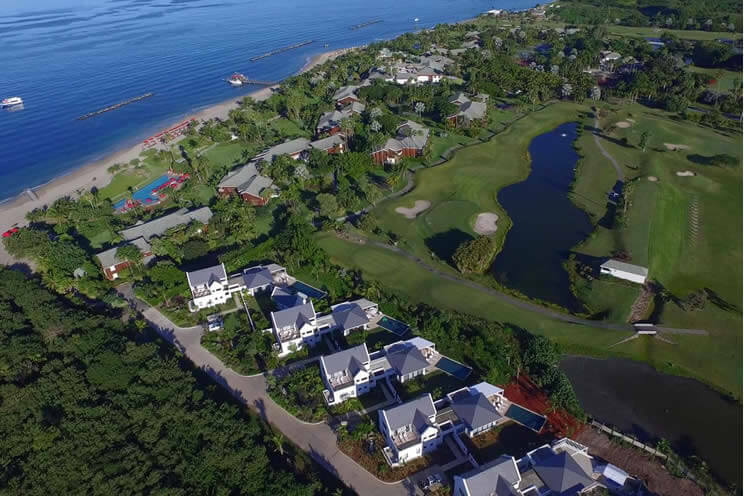 We are a full-service real estate company with offices on the west coast of Nevis located Seaside at Cliffdwellers. 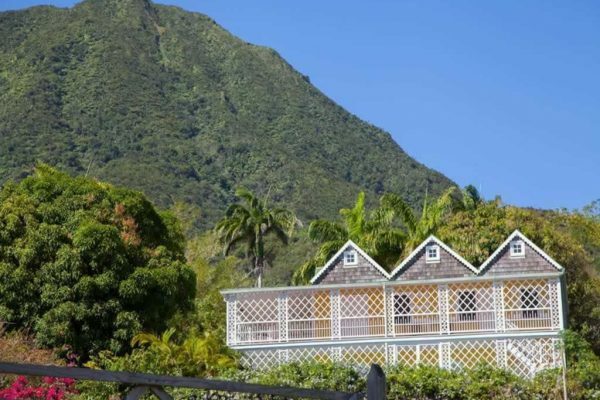 One of our five knowledgeable agents can help you find a home on Nevis, land on which to build, or a holiday rental villa. 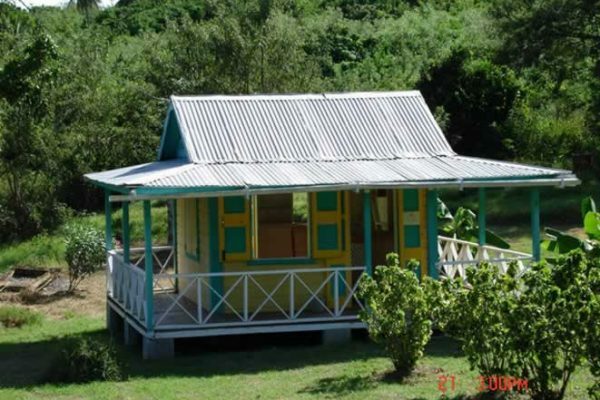 Once you buy, we can provide property management services, appraisals. 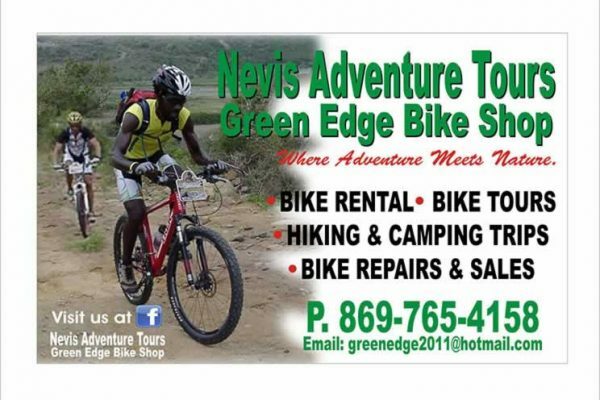 One of Nevis' premier hiking/tour companies, hit the trail with Nevis native and environmentalist Lynell Liburd. 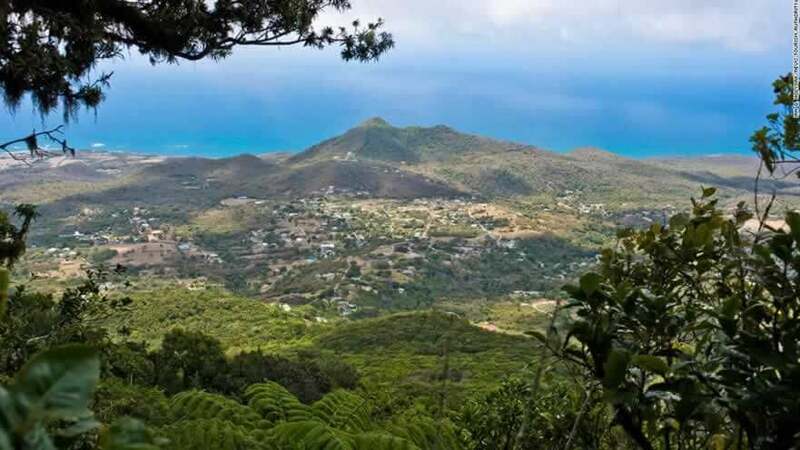 Hikes range from a gentle village walk to the strenuous trek up Mt. 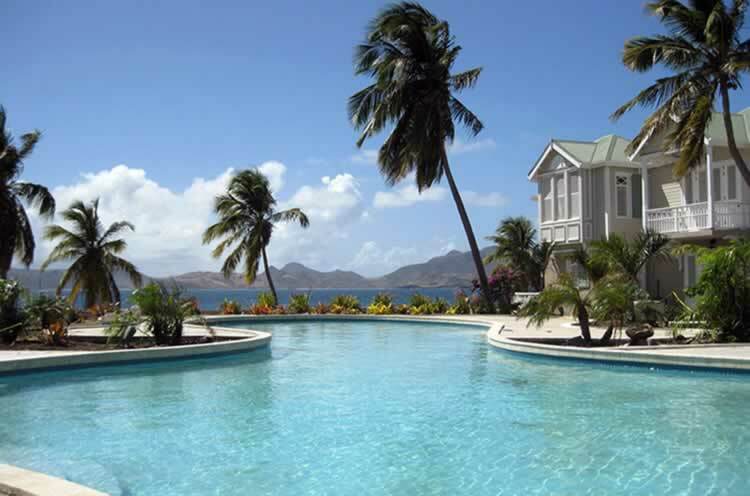 Nevis. 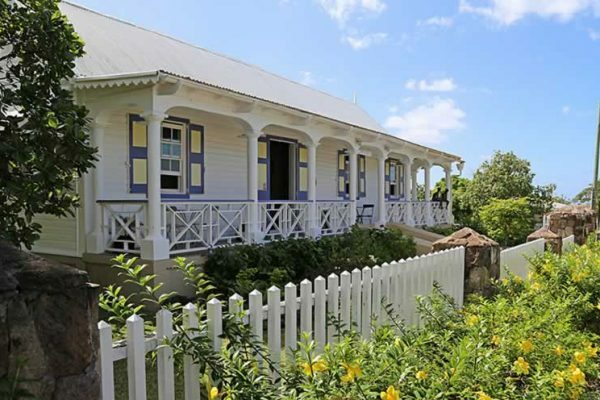 Located in the quaint but historic village of Nelson Spring on prime beachfront property facing the Caribbean Sea, you’re sure to experience a tropical escape at The Hamilton Beach Villas and Spas. 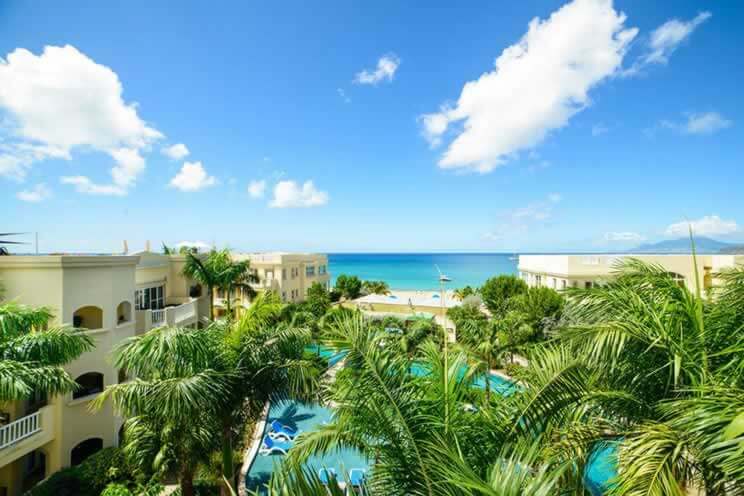 Between the breathtaking views and state-of-the-art accommodations and amenities, you’ll want to stay forever. 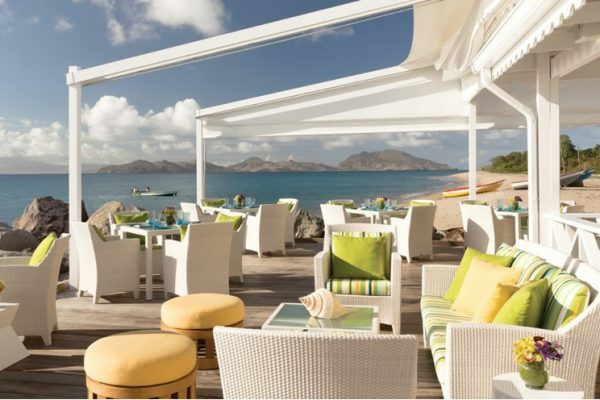 Discover lively Caribbean cuisine paired with global flair. 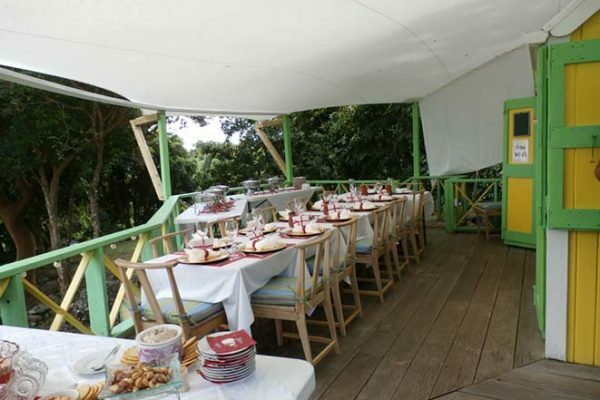 Breakfast, lunch, and dinner are served alfresco on our dining decks overlooking the sea. 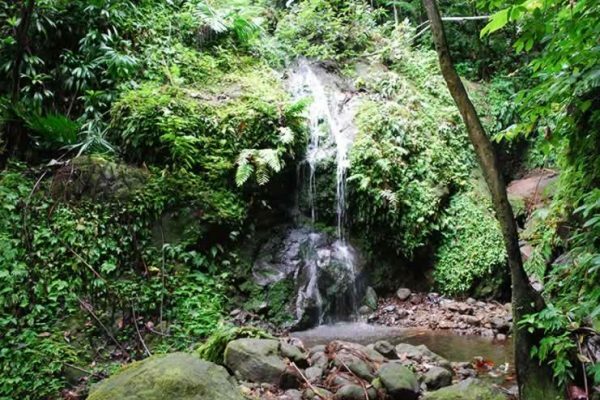 Guides are available to walk and hike with you to explain the island’s history, point out flora and fauna and show you the way. 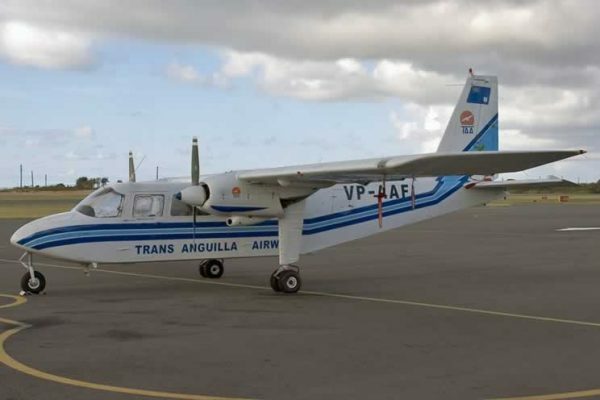 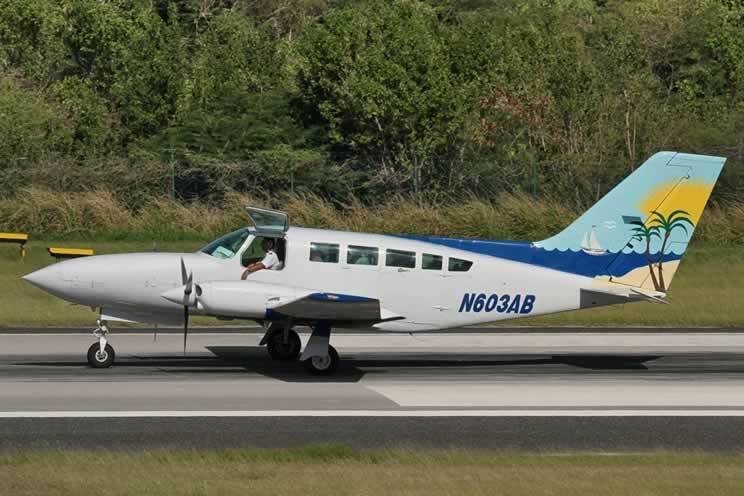 Headquartered in Oxford, Connecticut with operational bases at Westchester County Airport in New York and San Juan International Airport in Puerto Rico, Tradewind operates both on-demand private charter and scheduled “shuttle” service throughout the U.S. and Caribbean. TAA has emerged as an efficient, safe and highly recognized charter carrier in the North-East Caribbean. 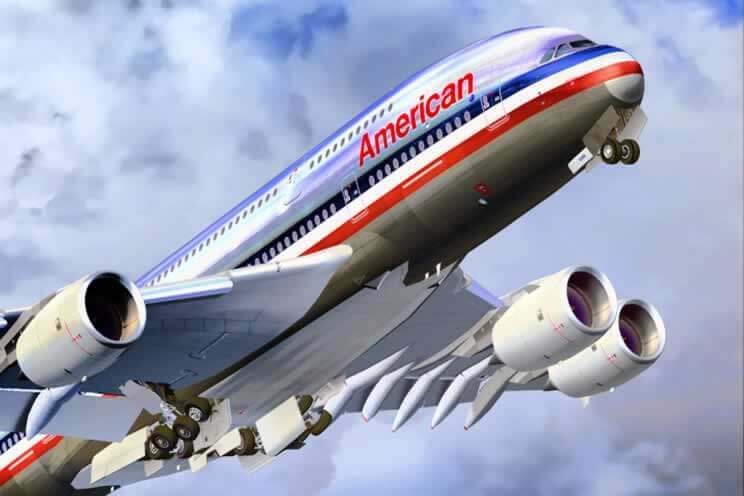 We take pride in serving our local and international customers. 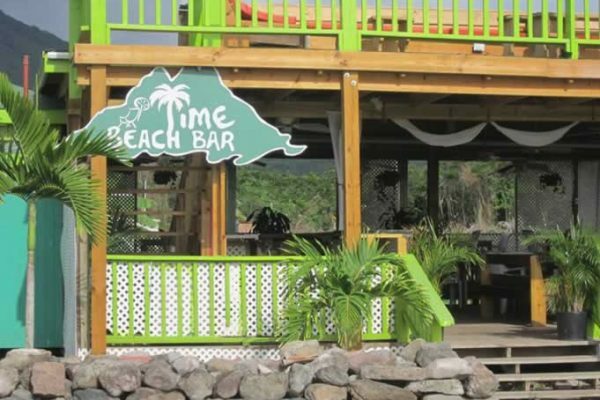 At Turtle Time Beach Bar & Grill we focus on providing you with the highest level of customer satisfaction – from food and drink to a high level of guest service, we aim to make your visit with us an experience you will enjoy. 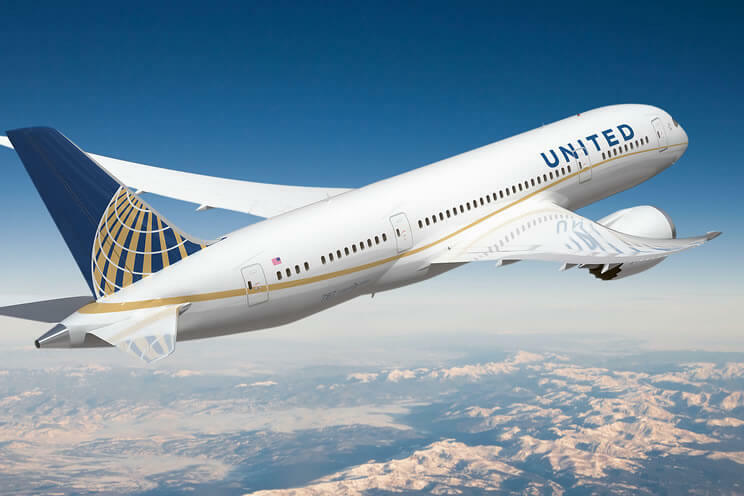 United and its partner airlines offer the opportunity to island hop with flights to a large number of airports throughout the Caribbean. 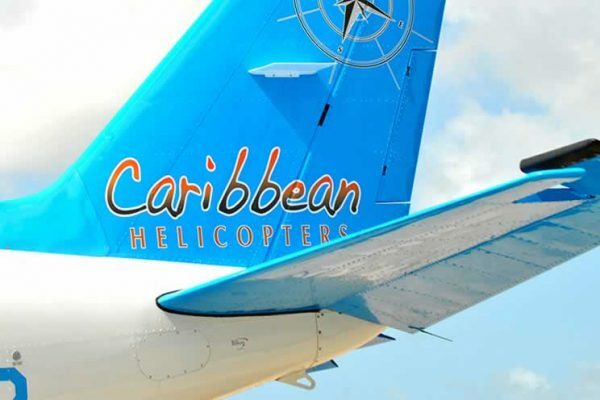 Take advantage of our expansive Caribbean network by dropping in on a variety of island destinations. 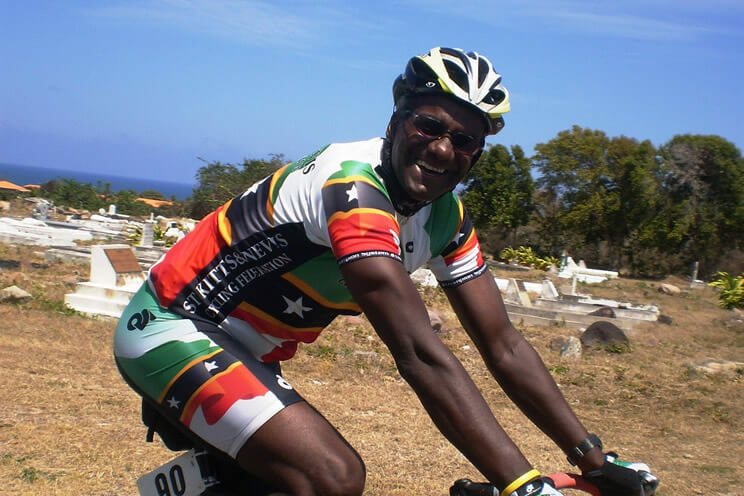 Welcome to the home of cycling here on the beautiful island of Nevis. 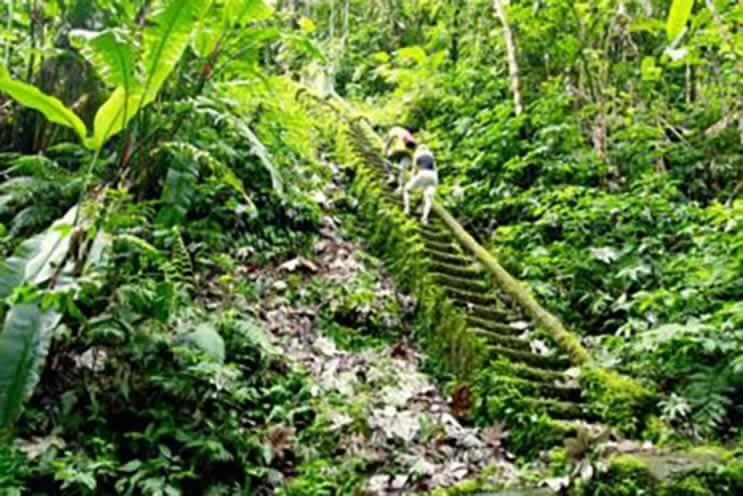 Whether your passion is Mountain Biking, Casual riding, Road Biking or Triathlon, you have come to the right place. 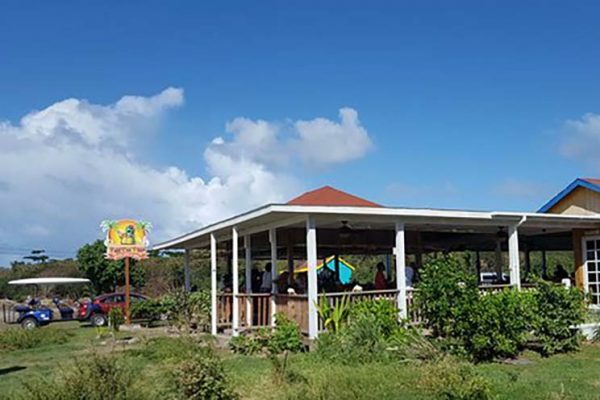 The gracious Wilma is a wizard in the kitchen and dishes out a daily changing menu of local hearty local fare like barbecue pork ribs or stewed chicken in her quaint and green-trimmed cottage next to the police station. Winair is a government-owned regional airline and was founded in 1961. 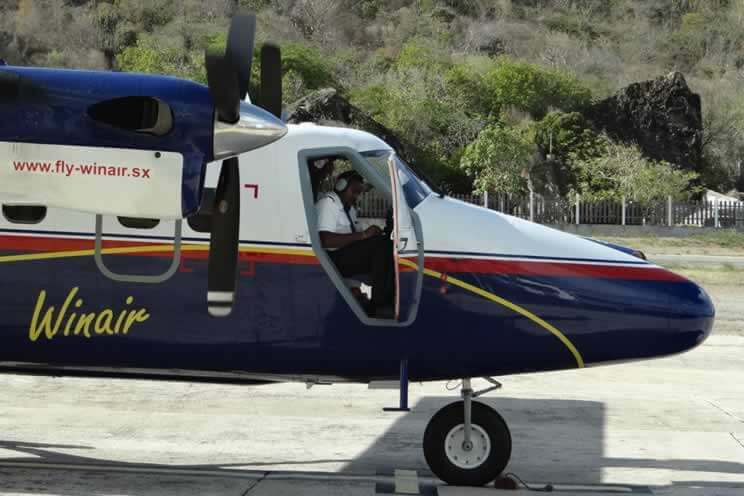 The airline operates 5 de Havilland Twin-Otter aircraft and one ATR42 - 500 Aircraft between eleven destinations. 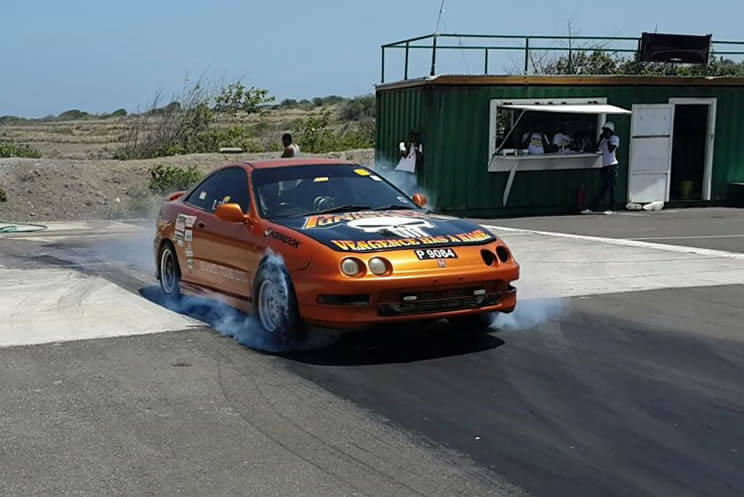 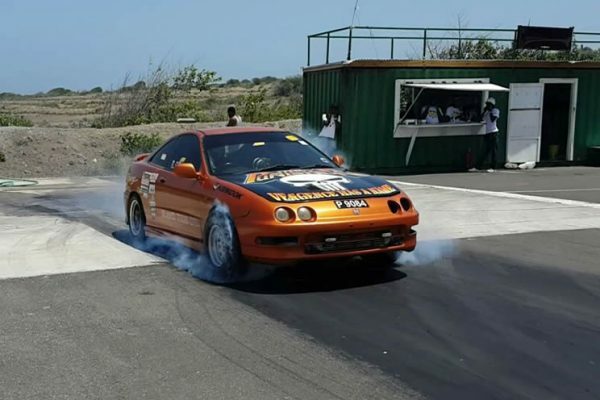 Drag Racing event featuring competitors from around the Caribbean. 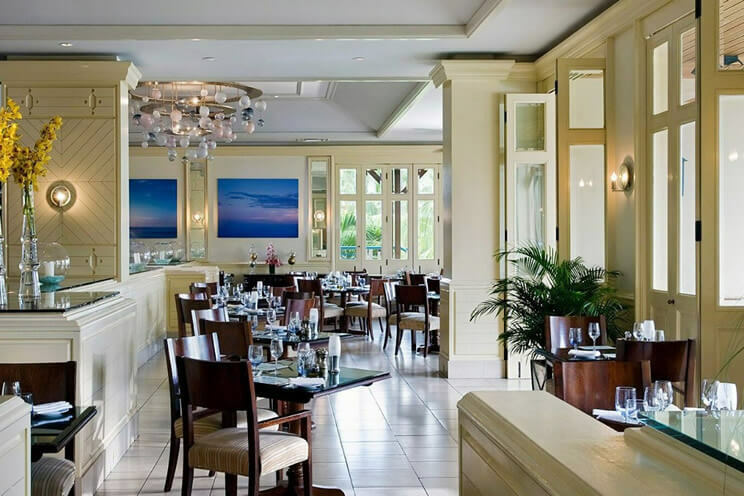 Our in-house team led by Executive Head Chef, Mary Parks offers you mixture of local tastes, international cuisines and a wine selection to entice the most educated enthusiasts.